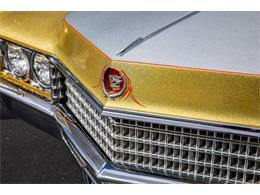 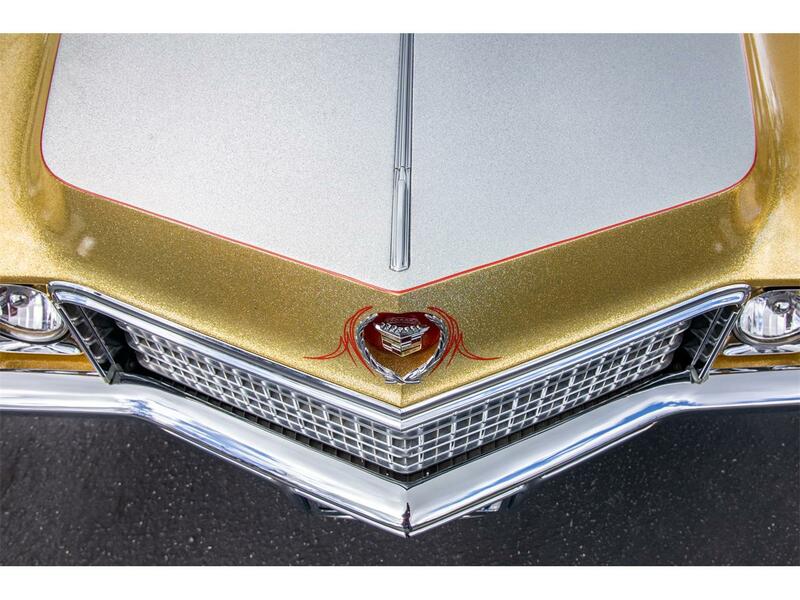 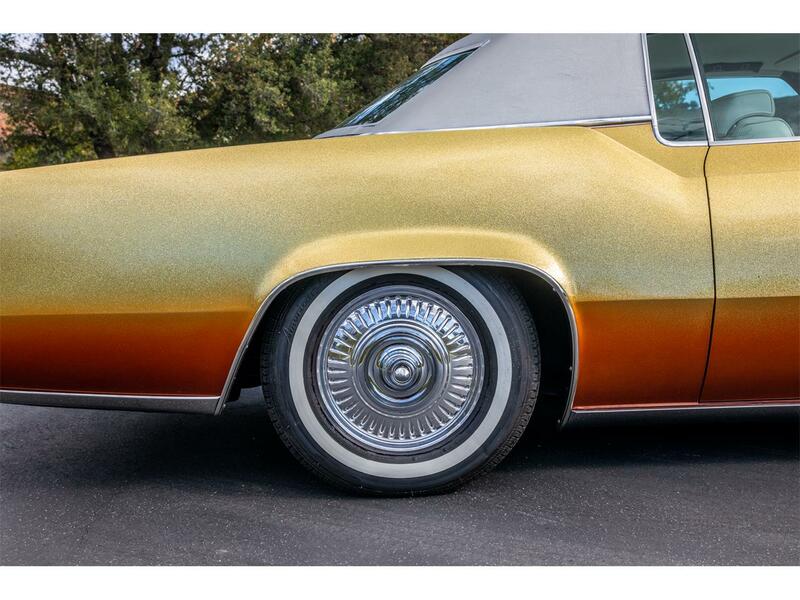 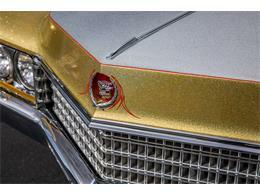 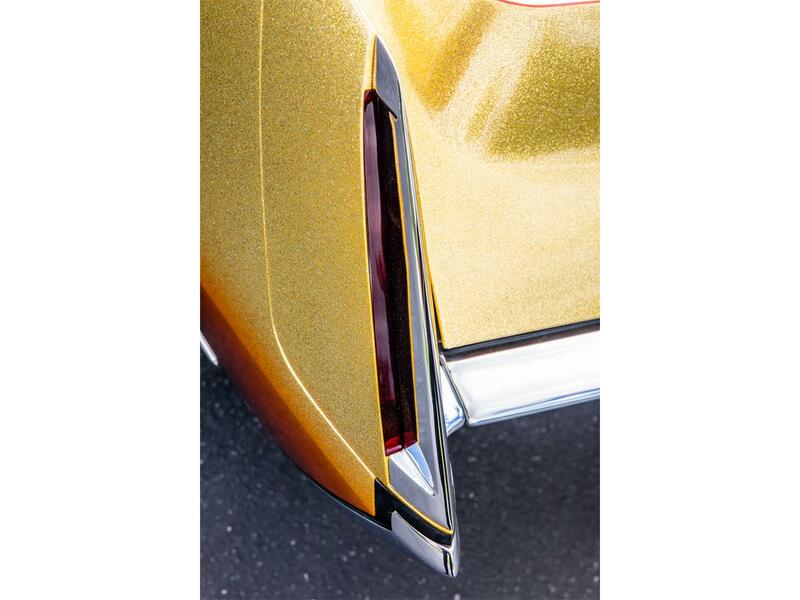 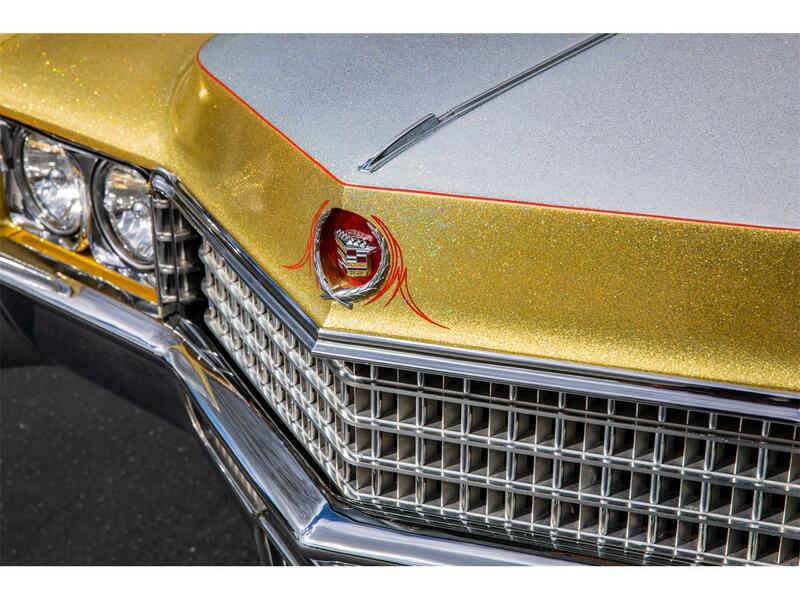 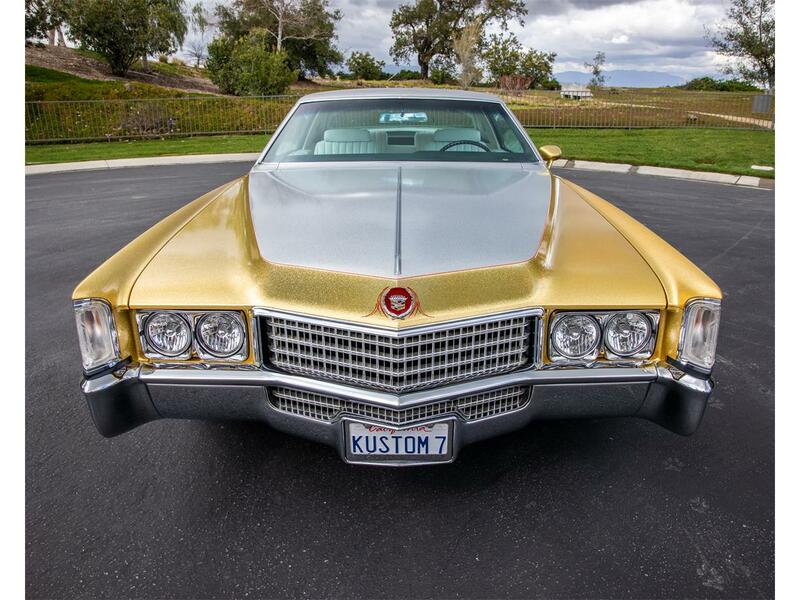 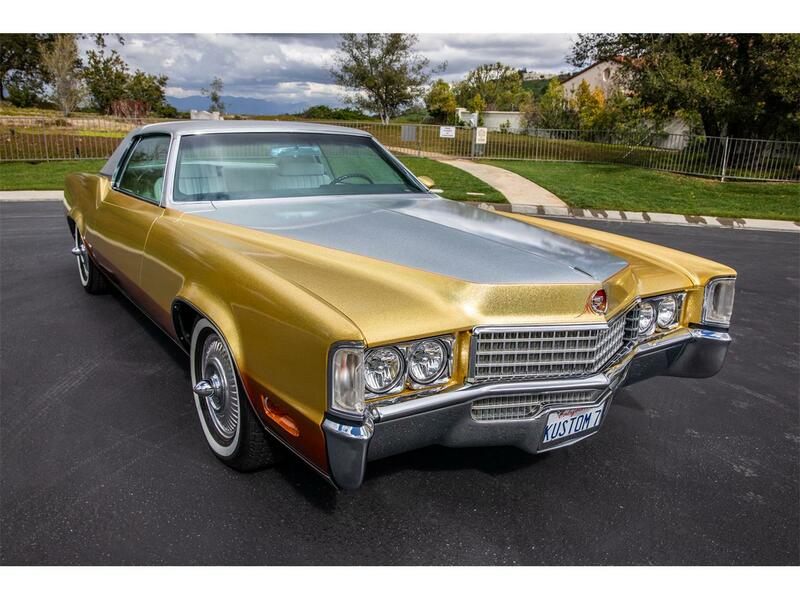 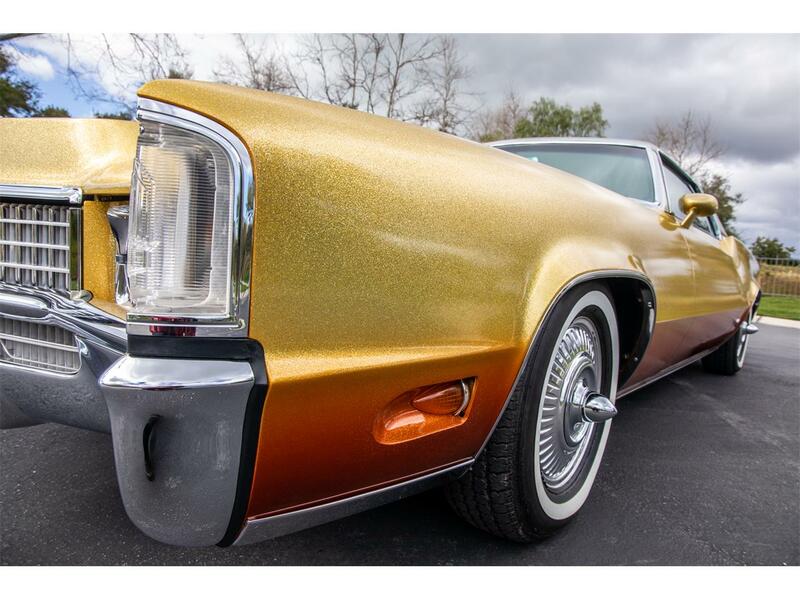 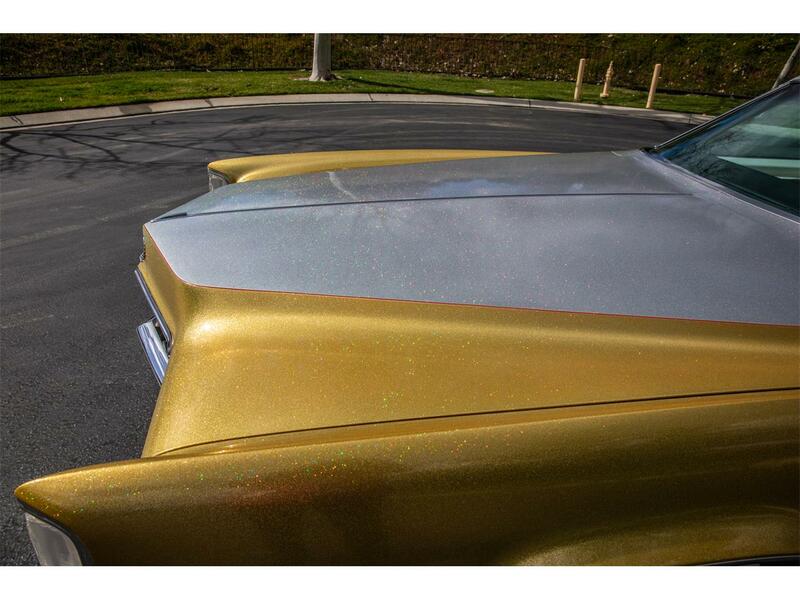 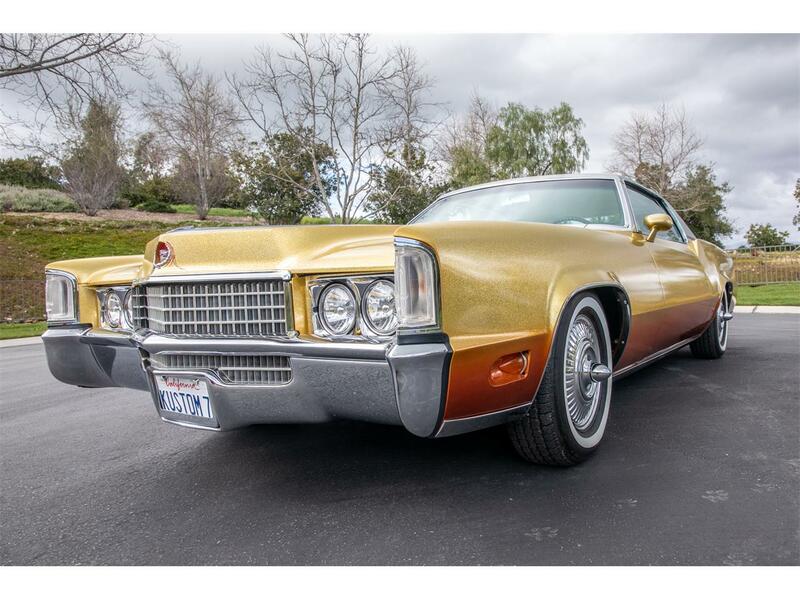 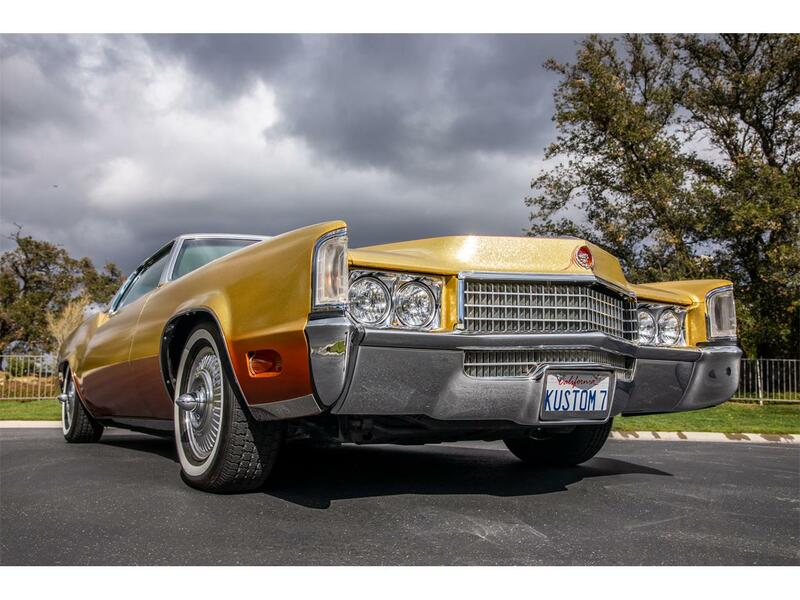 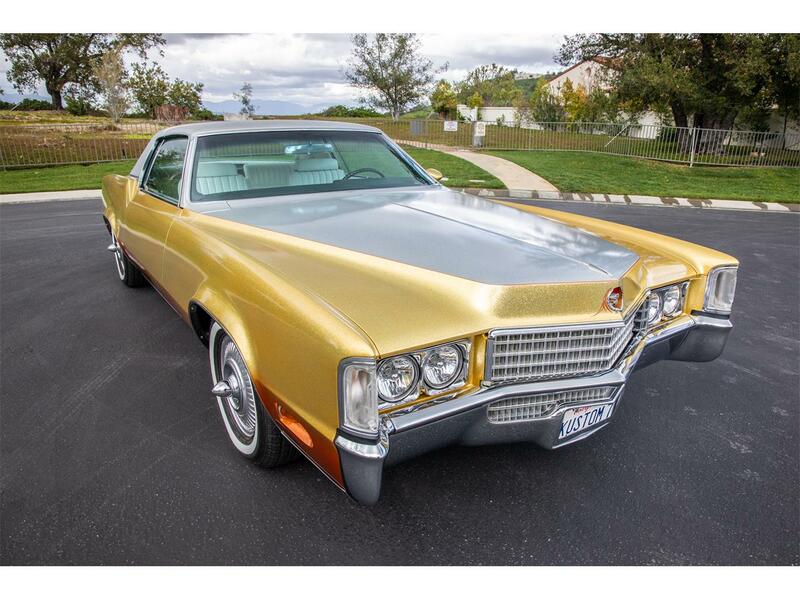 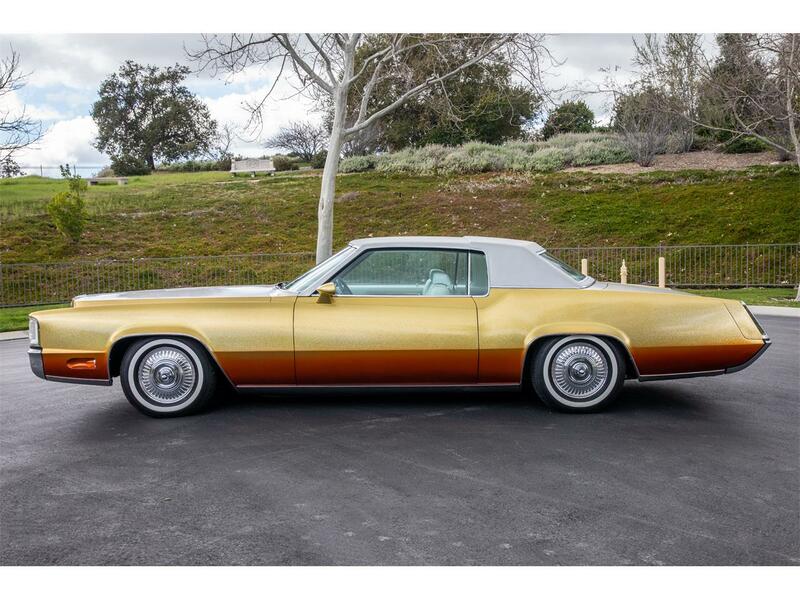 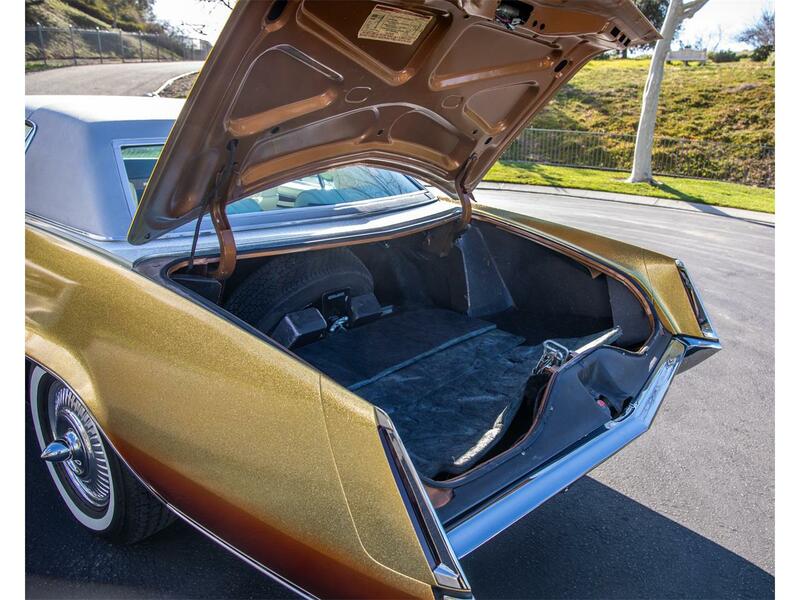 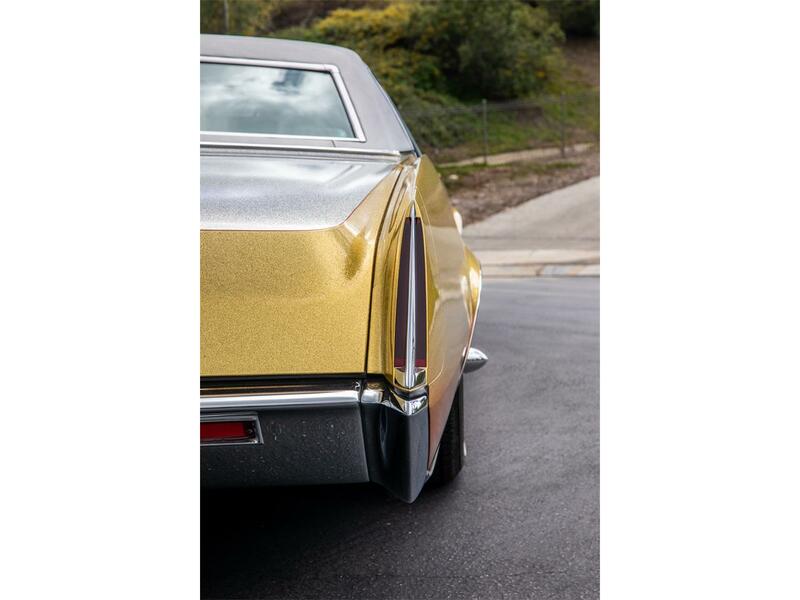 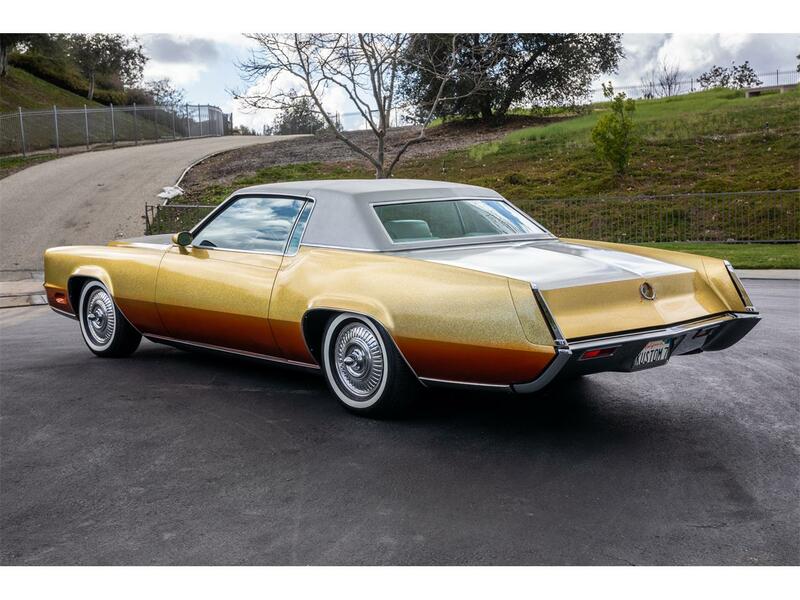 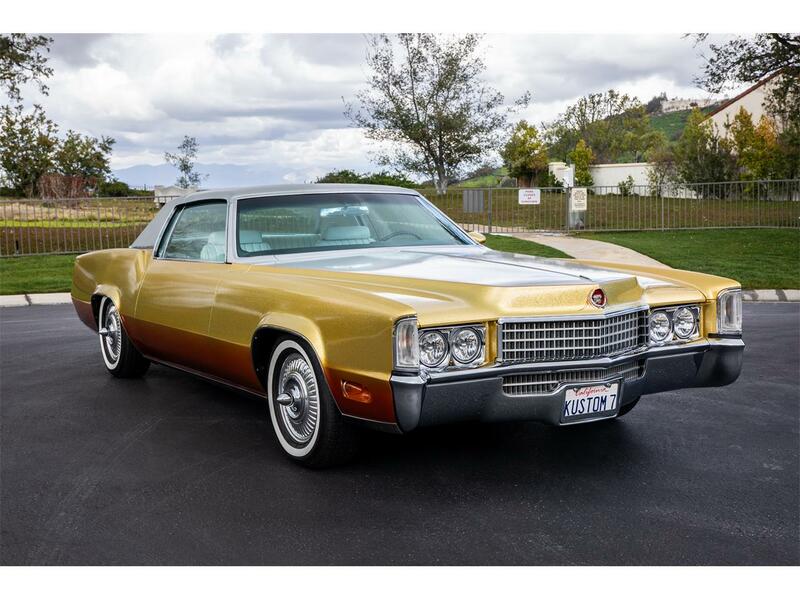 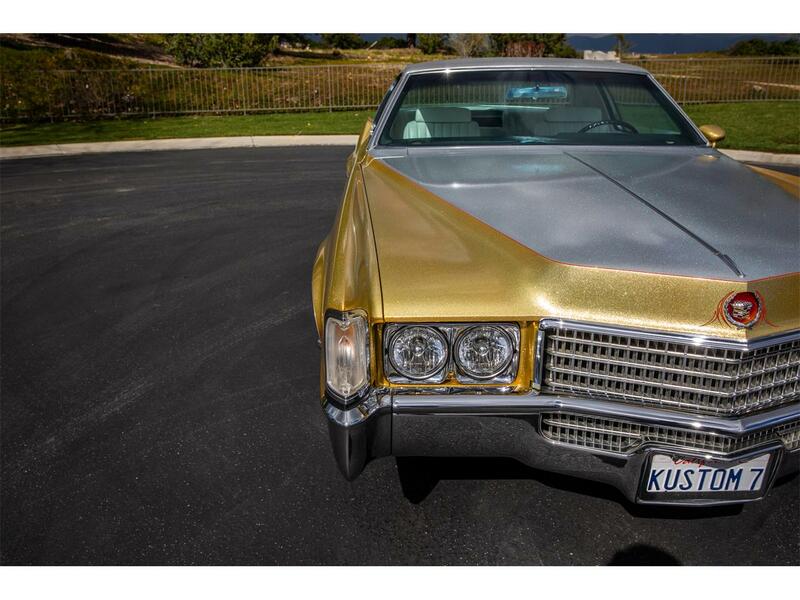 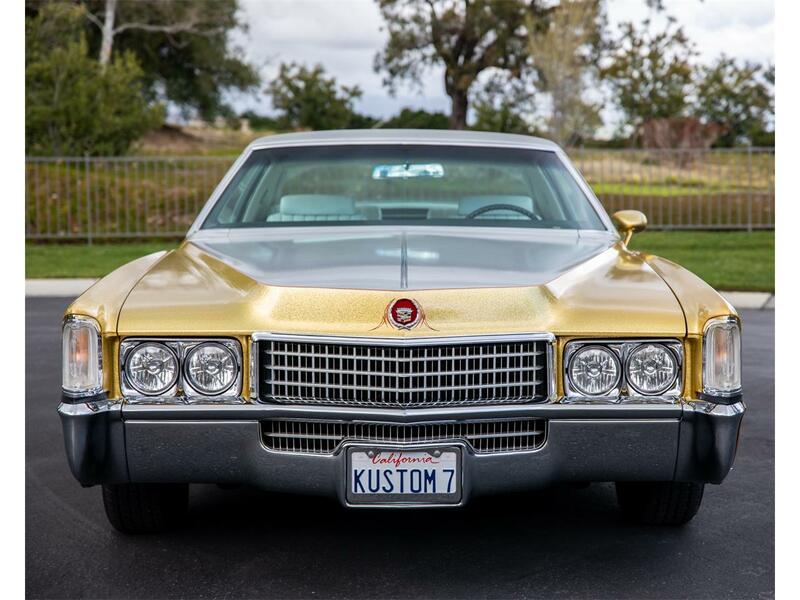 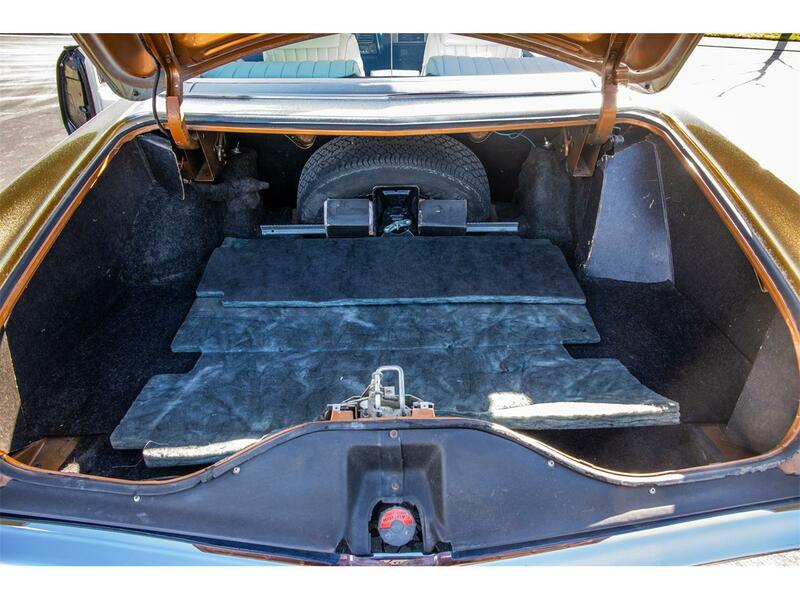 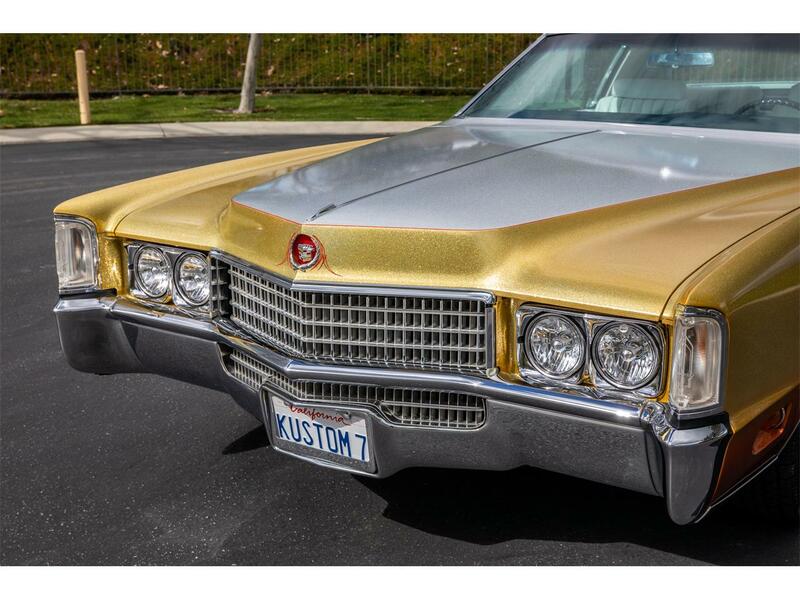 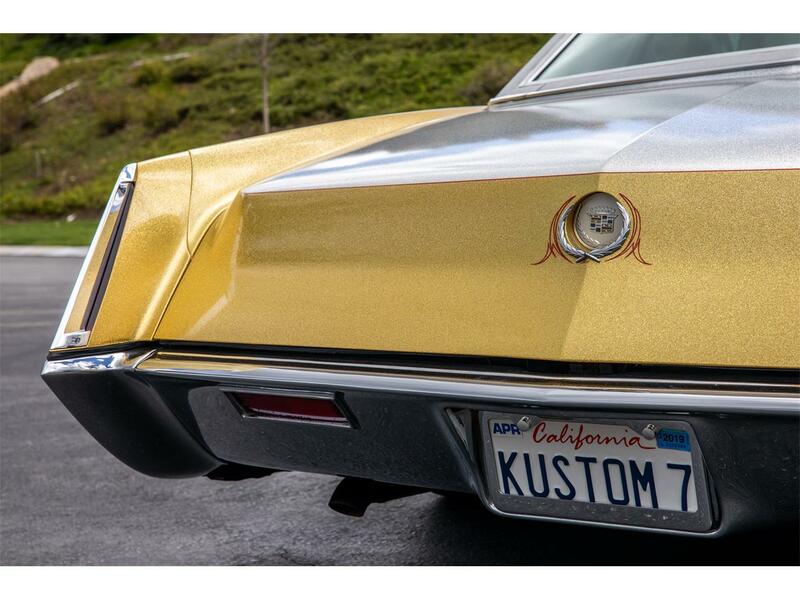 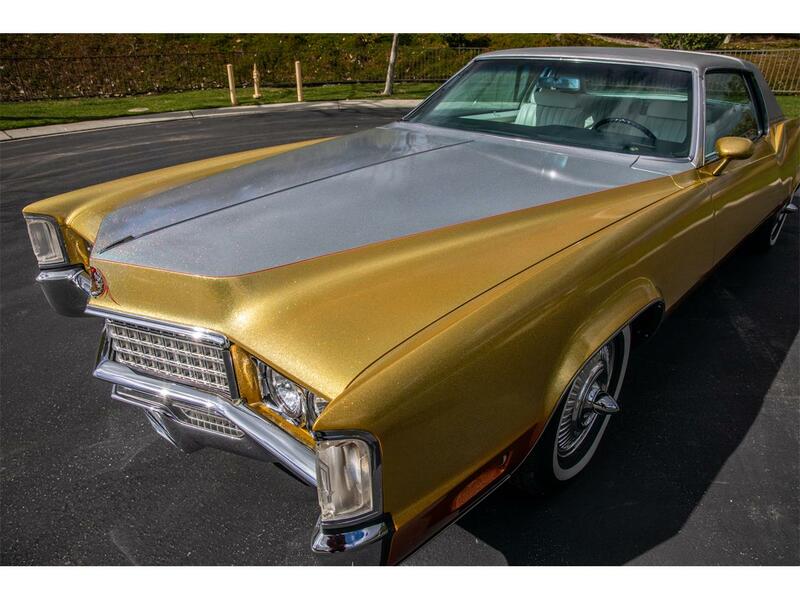 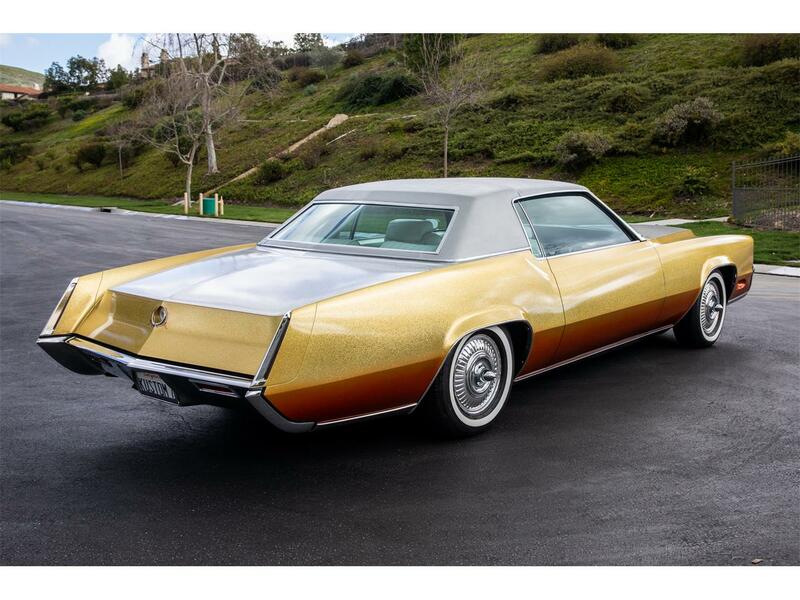 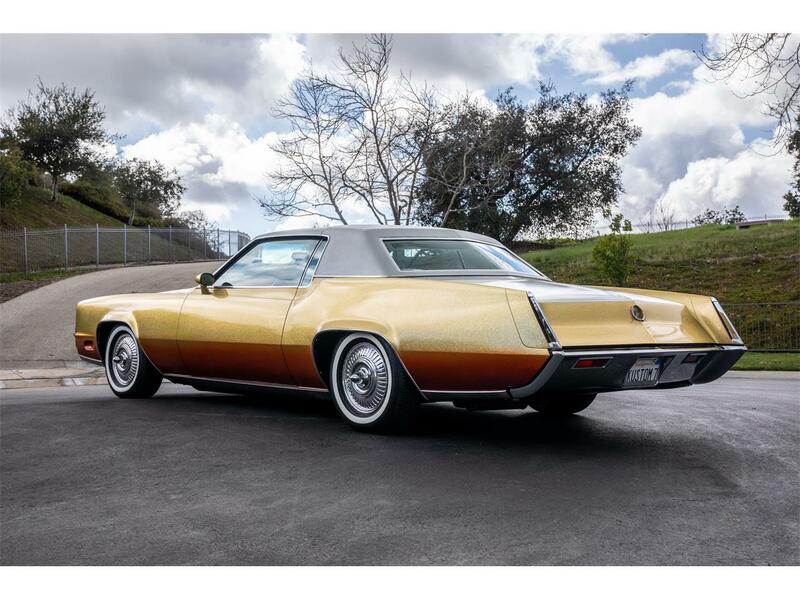 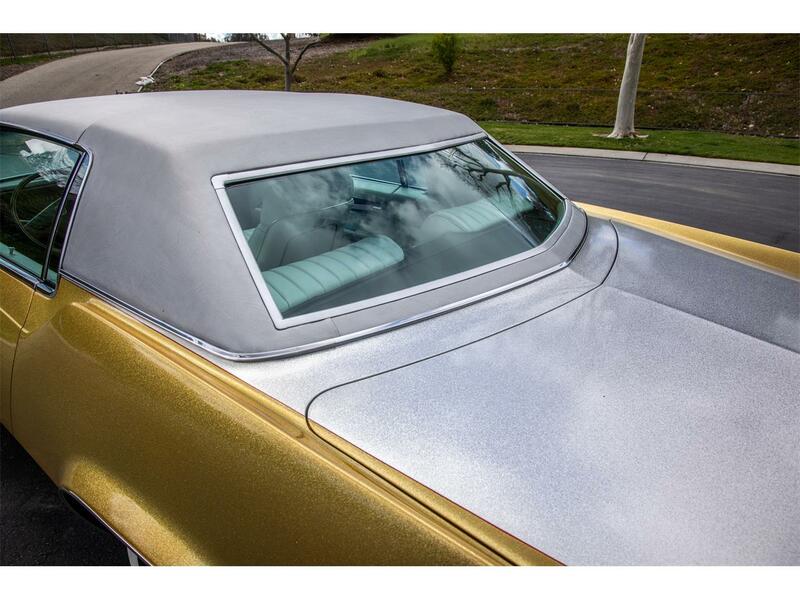 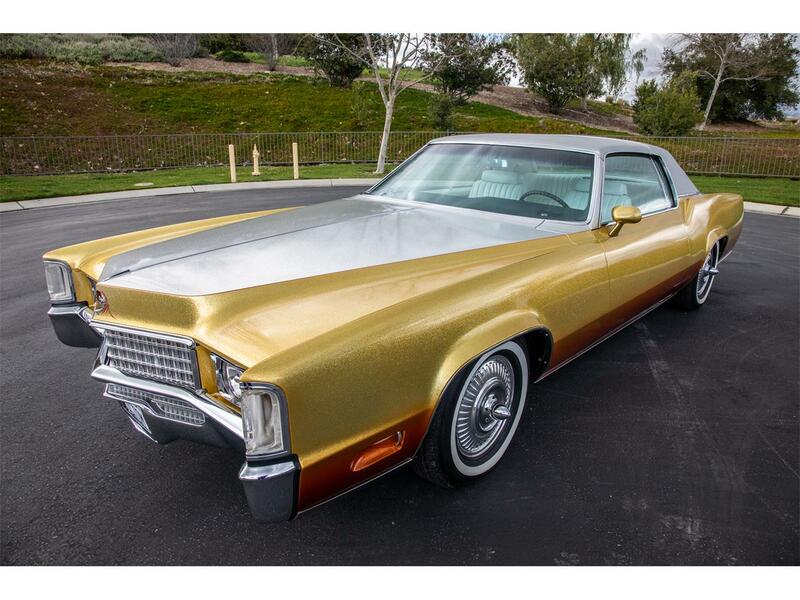 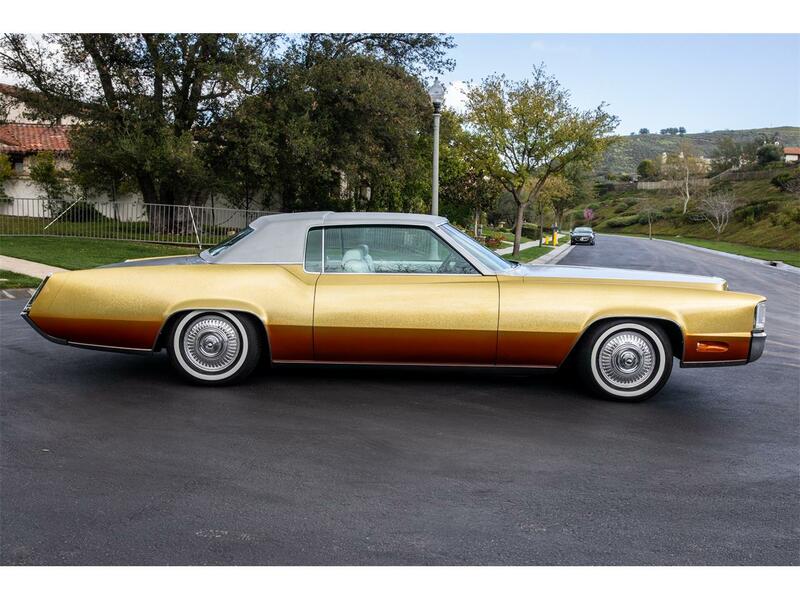 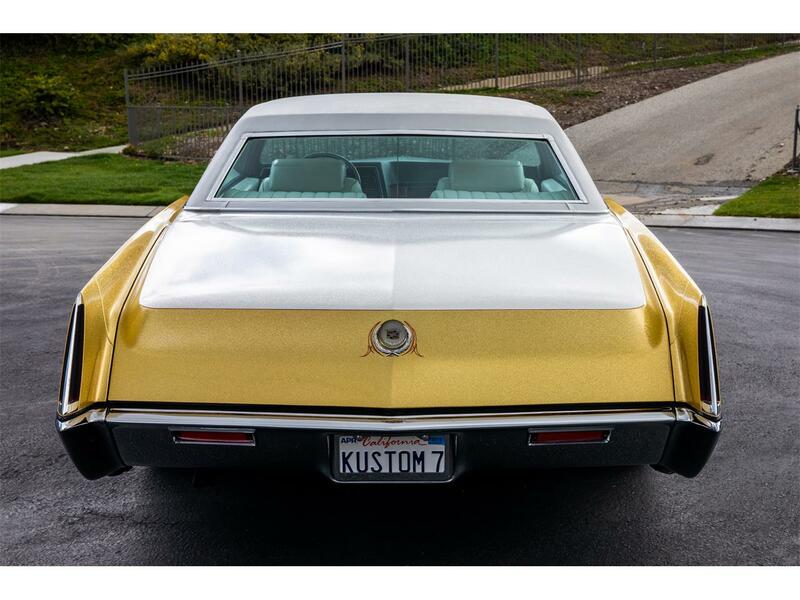 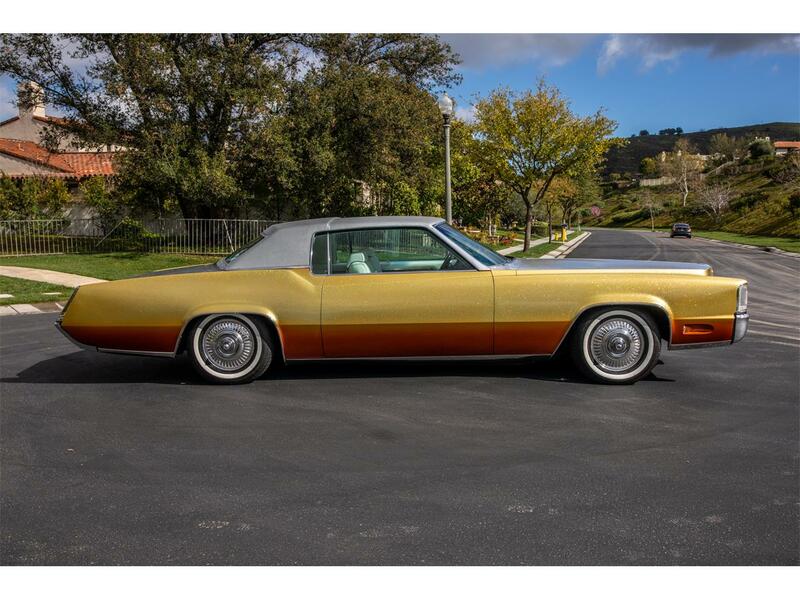 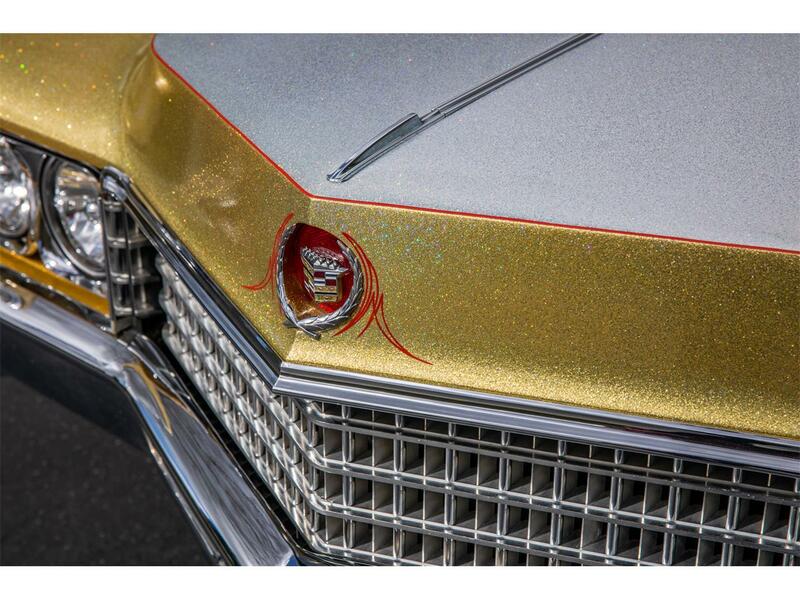 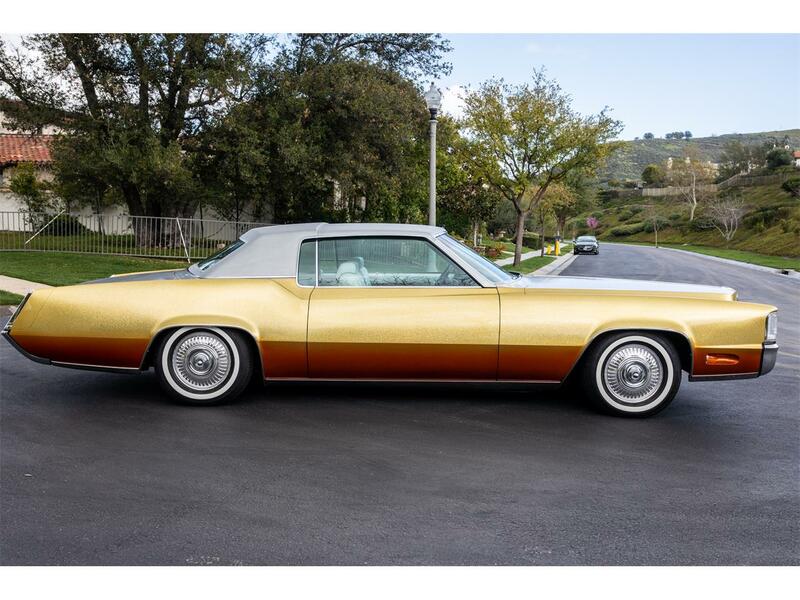 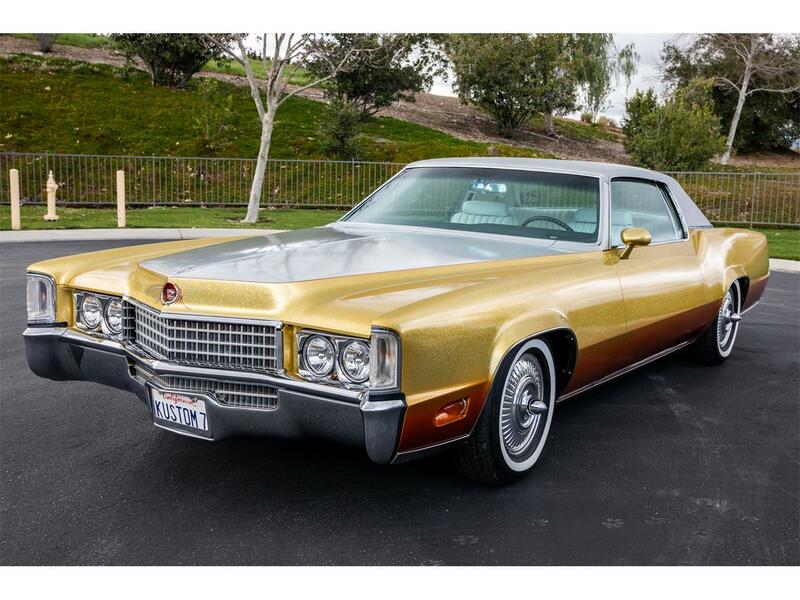 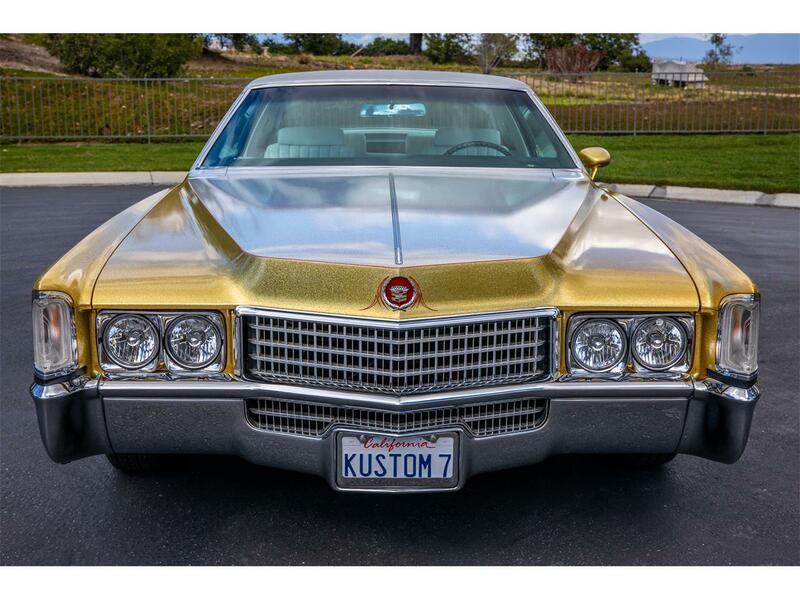 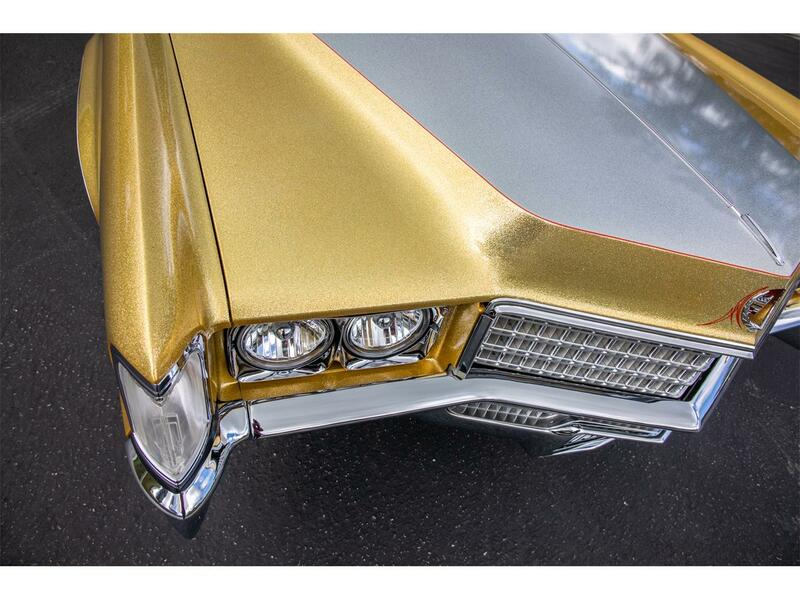 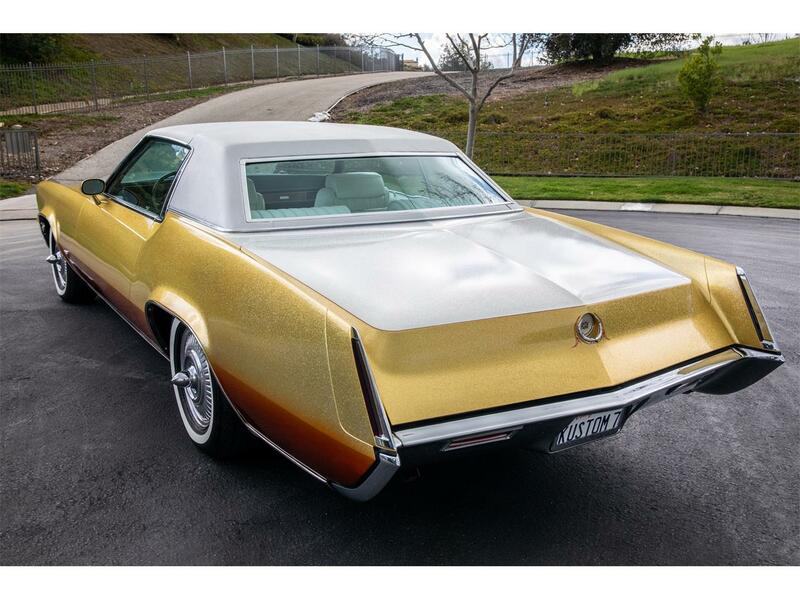 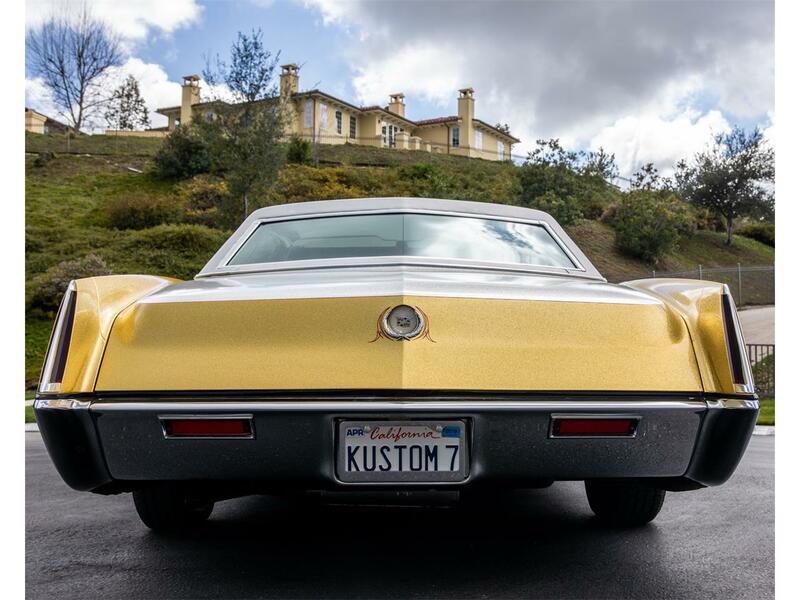 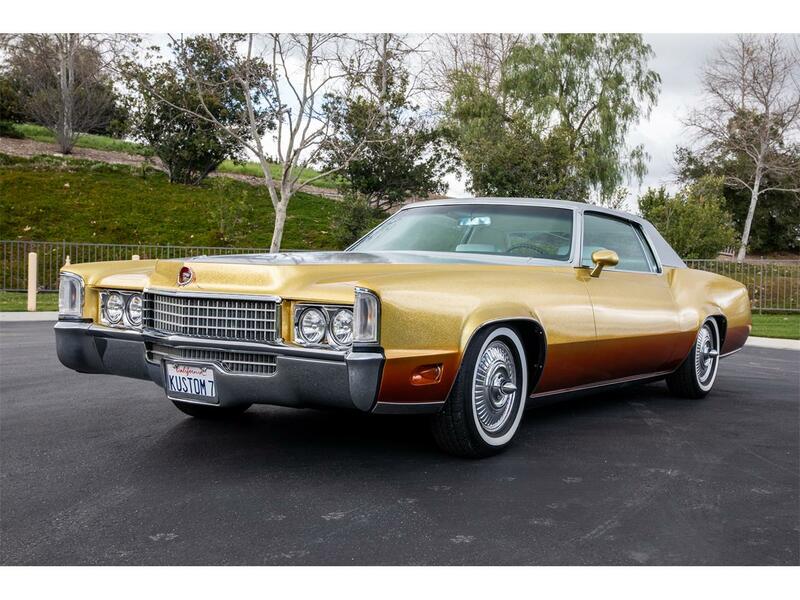 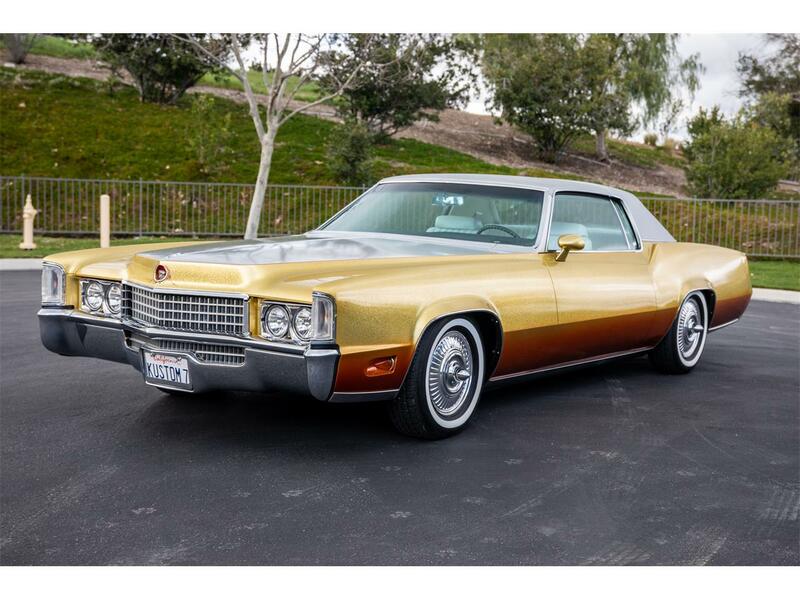 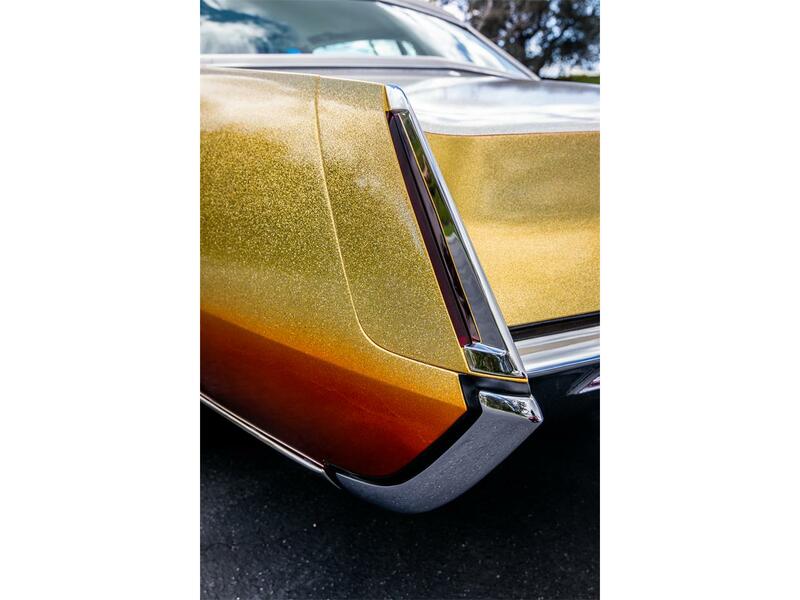 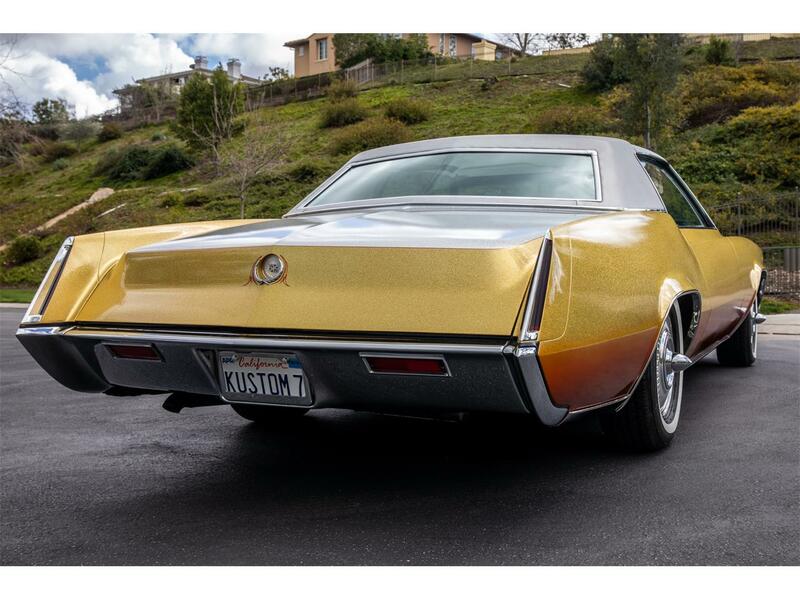 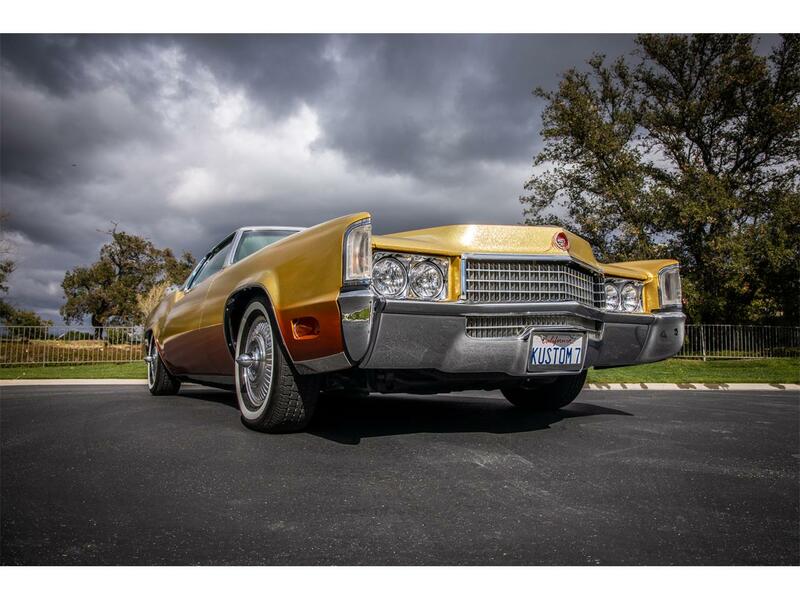 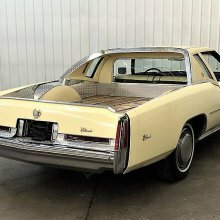 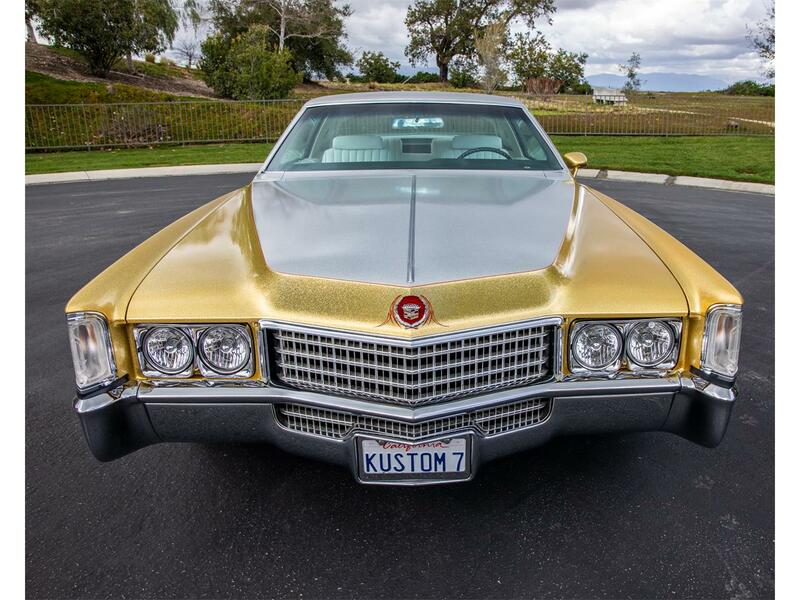 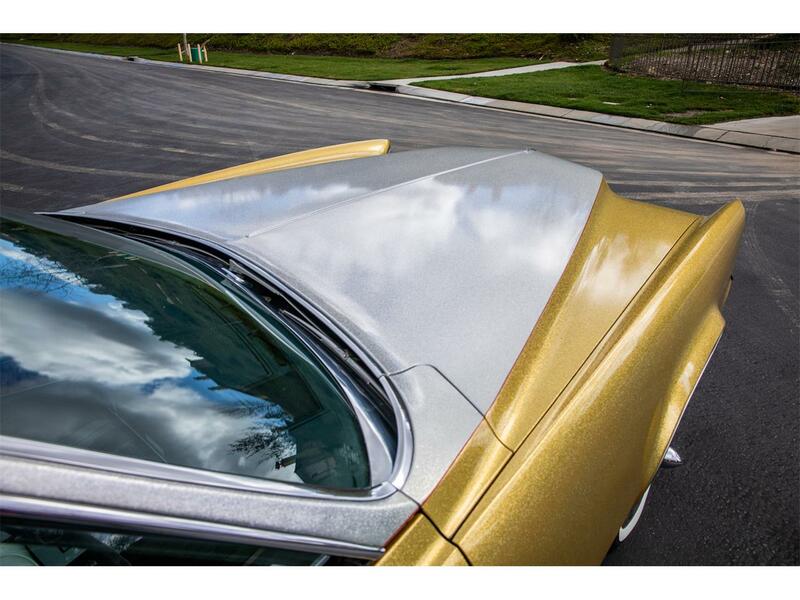 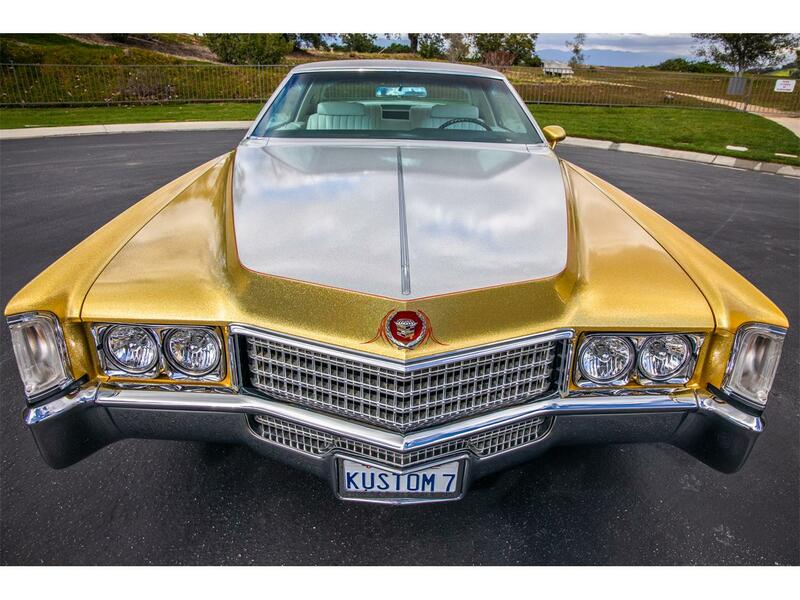 1970 Cadillac Eldorado was modified by Radioactive Kustoms of Van Nuys, California and debuted at the Sacramento Autorama in February 2014, where it won first place in its semi-custom class. 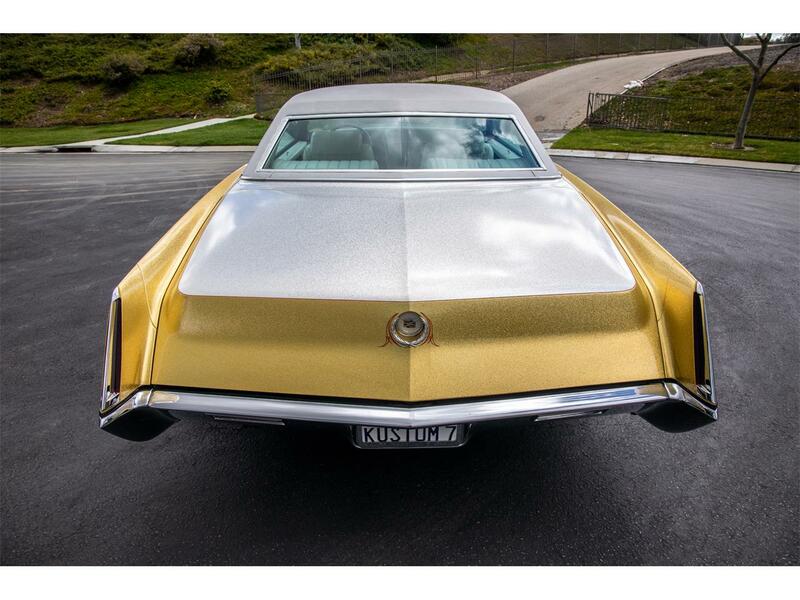 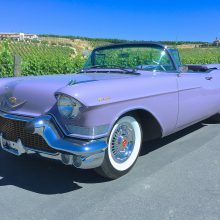 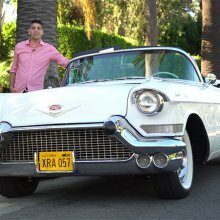 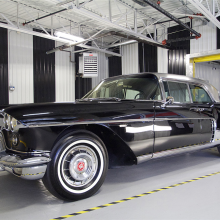 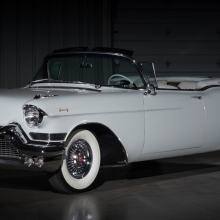 The car was acquired by current owner Travis Barker of Blink-182 later in 2014 and has since been displayed at the Petersen Automotive Museum in Los Angeles, California. 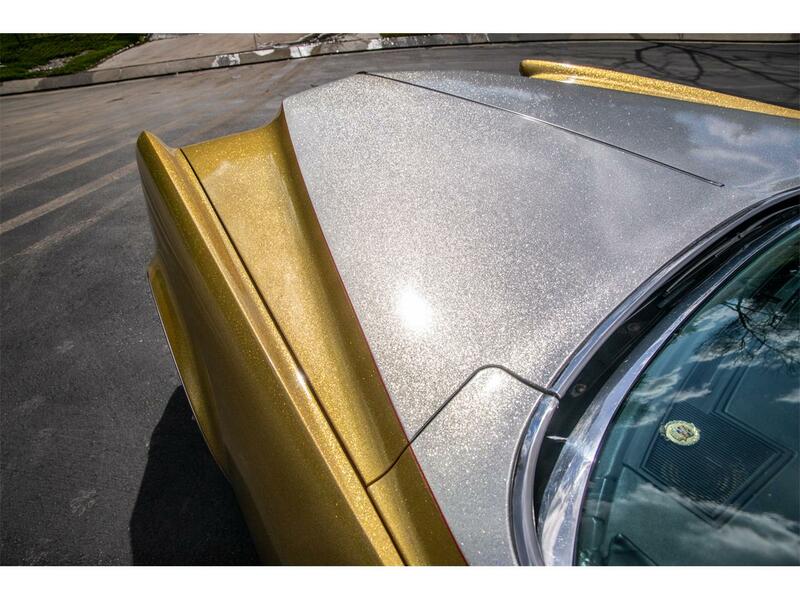 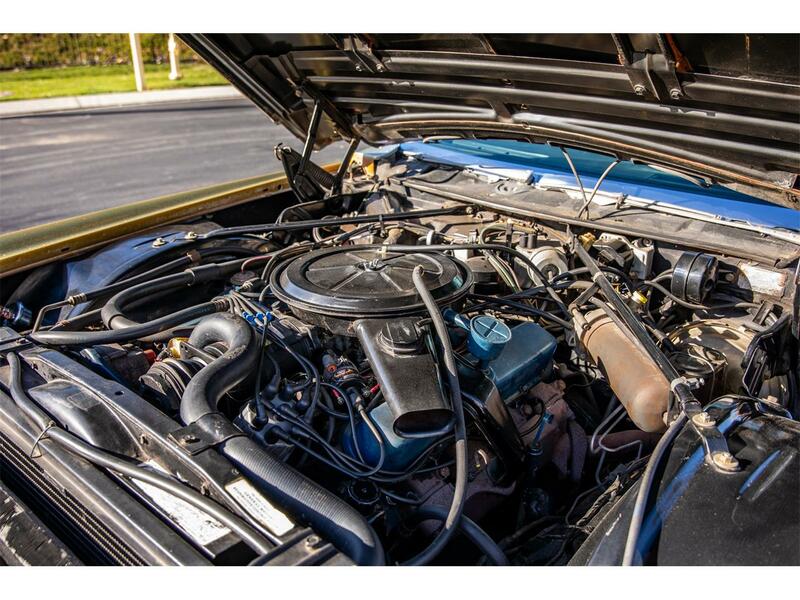 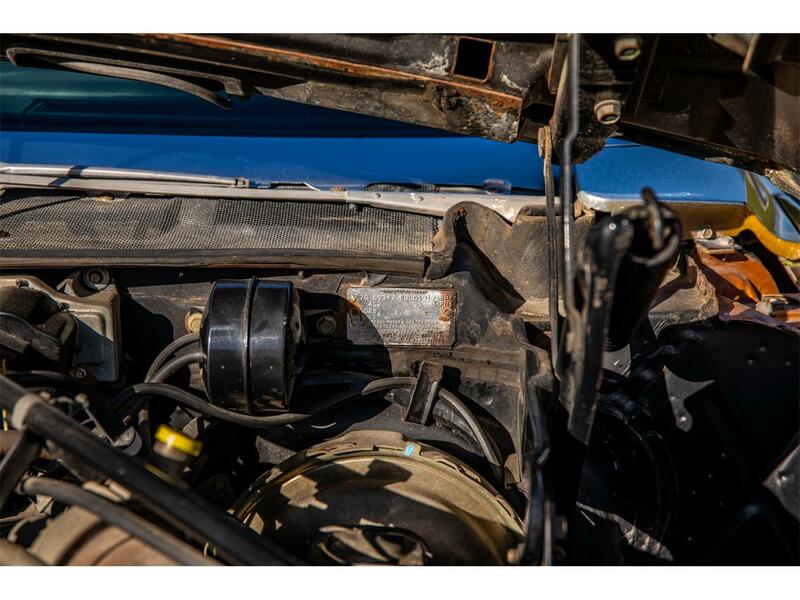 Power is supplied by a 500ci V8 coupled with a 3-speed automatic transmission, and features include tri-tone metallic flake paint, custom bodywork. 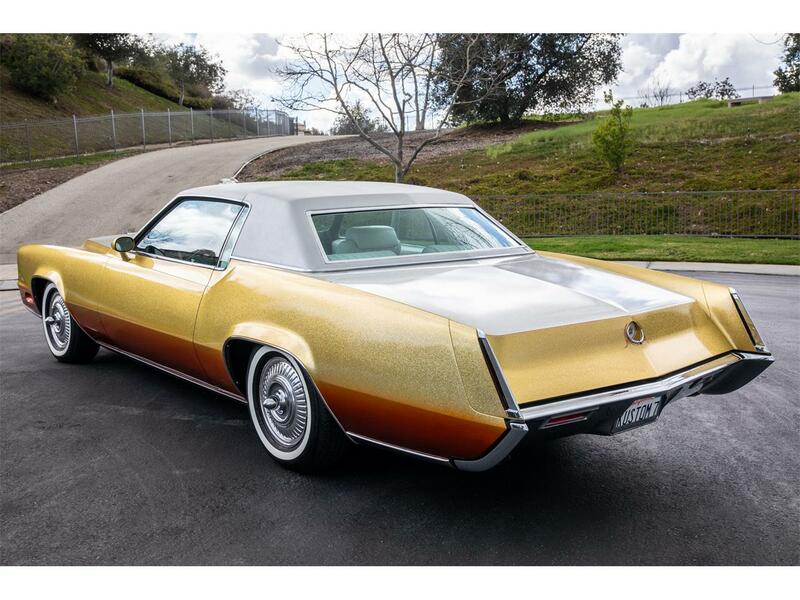 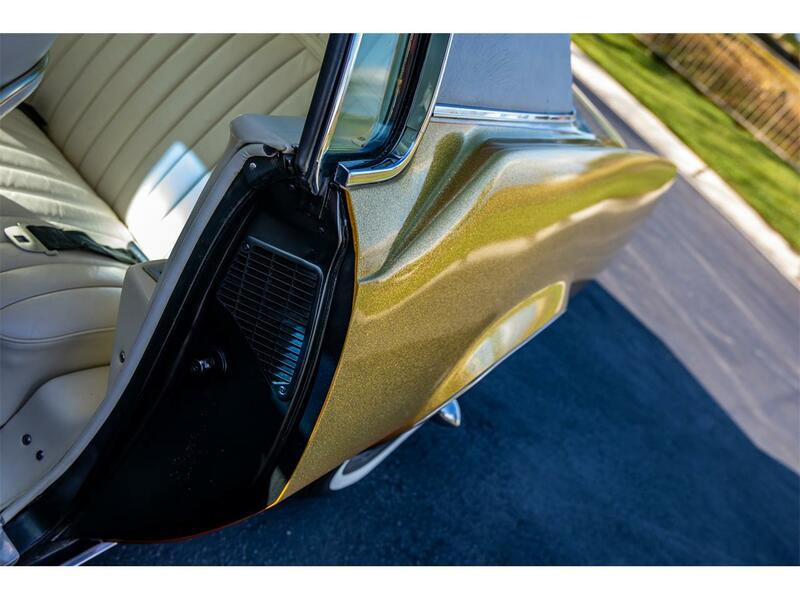 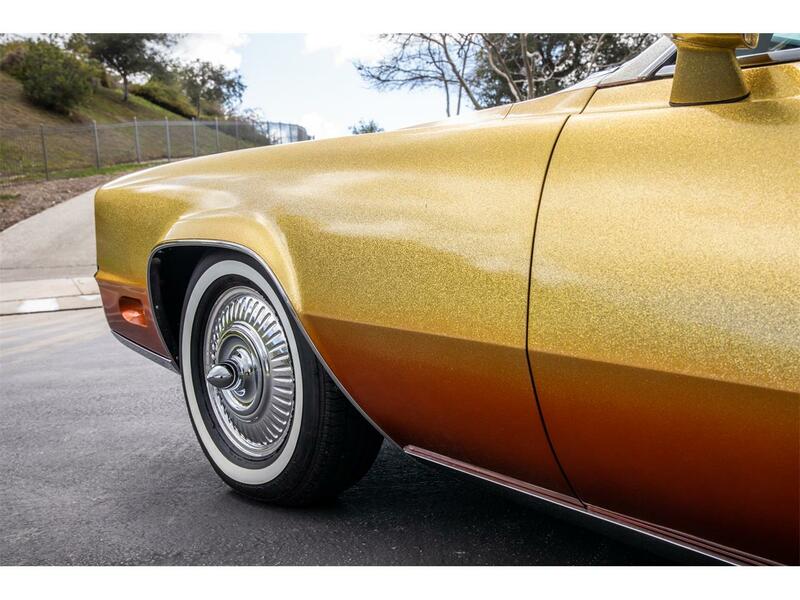 Designed as a collaboration between Bob Falini, John D’Agostino, Mike Garner, and Tony Wood, this example is known as “Conquistador II” and wears a tri-tone Candy Gold, Rootbeer, and Platinum Metalflake Crystal finish. 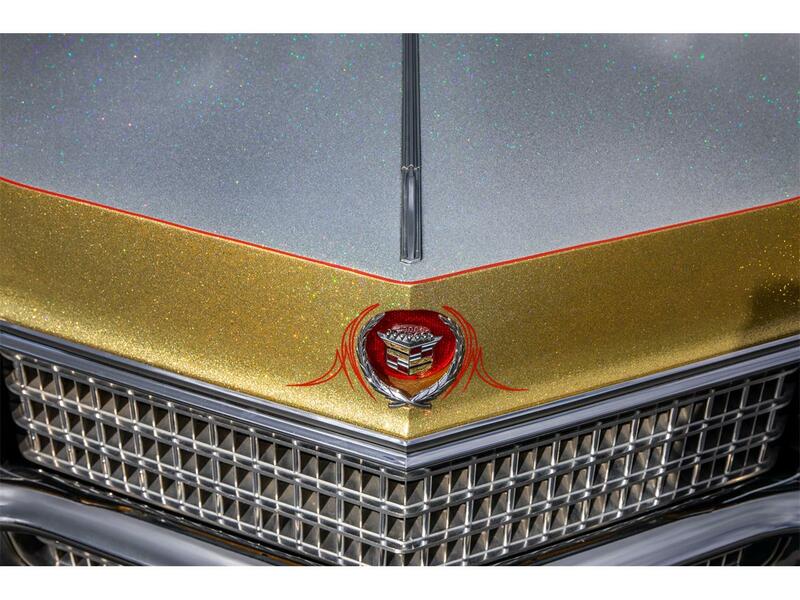 Pinstriping was applied by Herb Martinez. 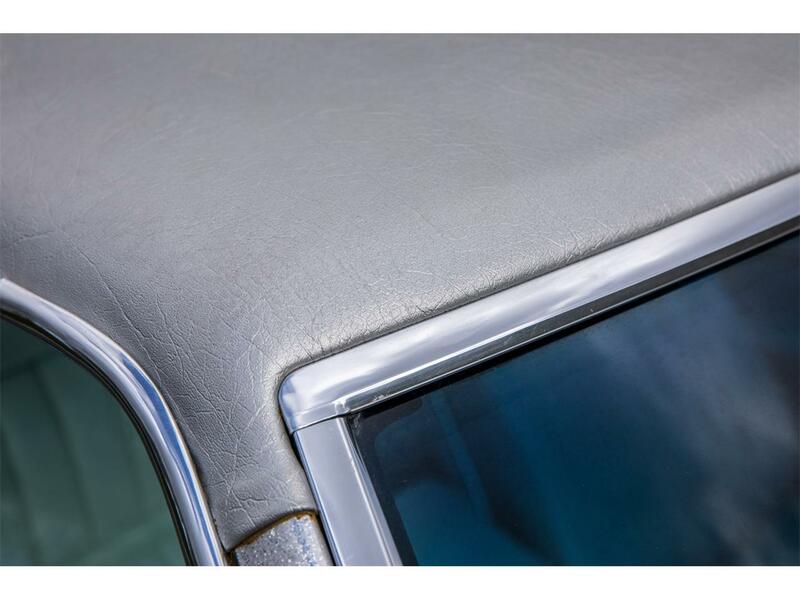 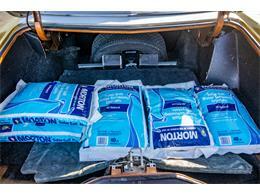 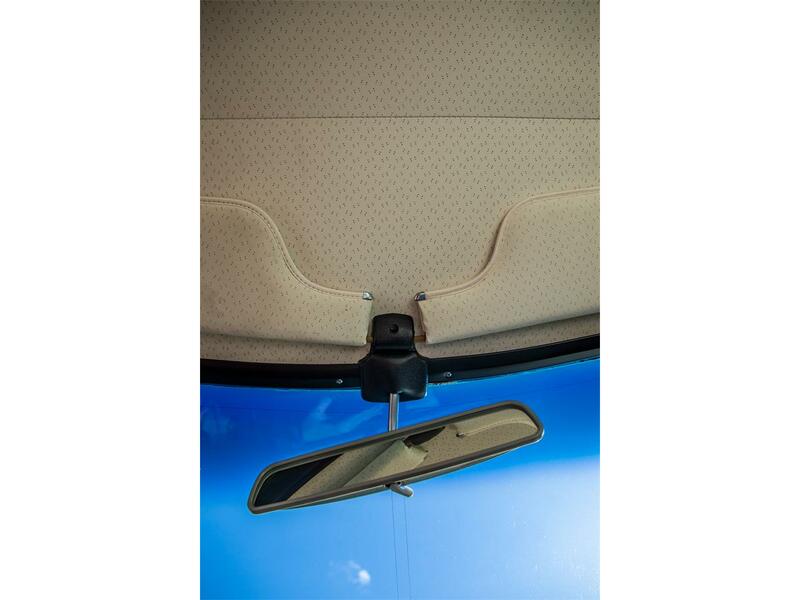 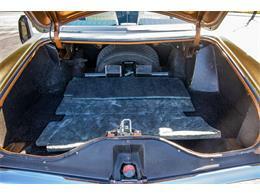 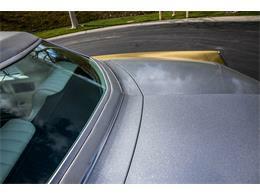 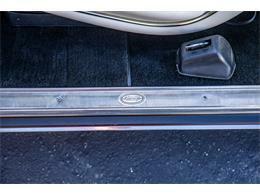 Trim was removed from the hood and trunk, and the exterior handles were shaved, though door poppers were not installed. 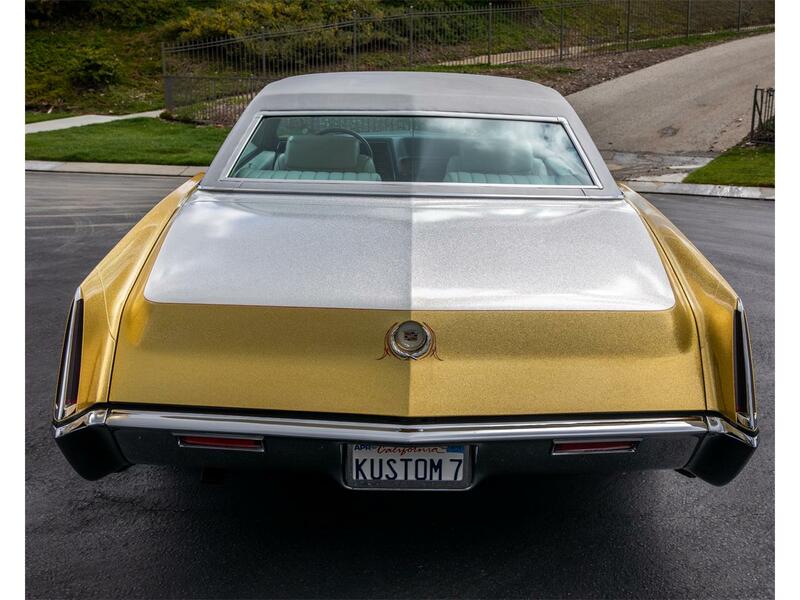 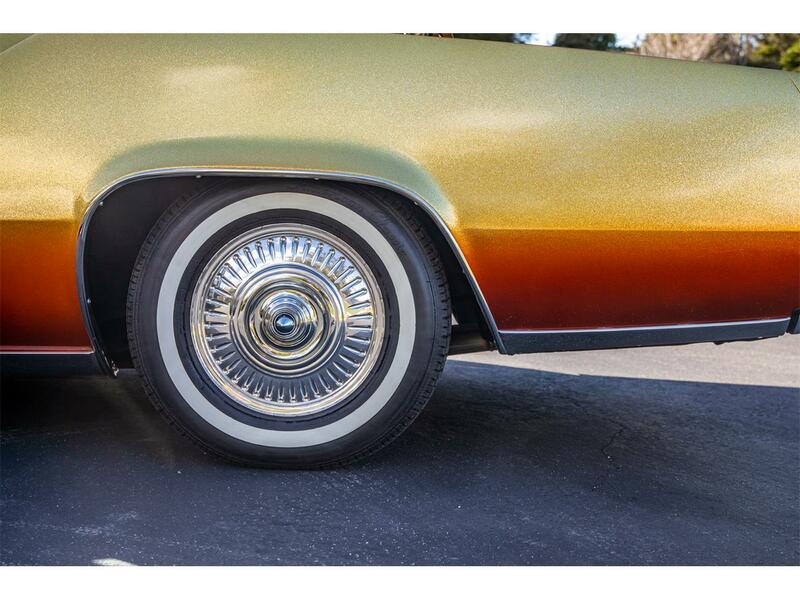 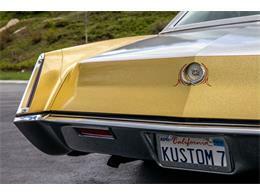 Color-matched side mirrors were added, along with custom side marker lamps and a platinum vinyl roof. 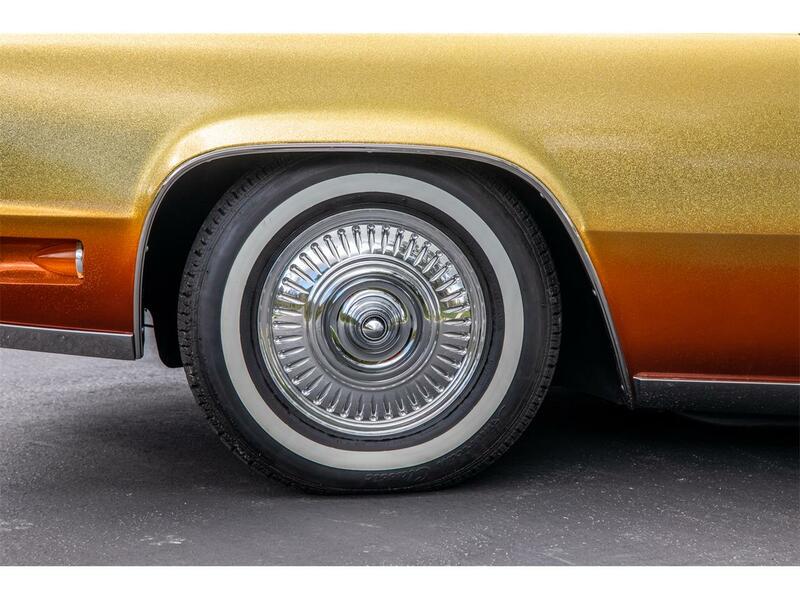 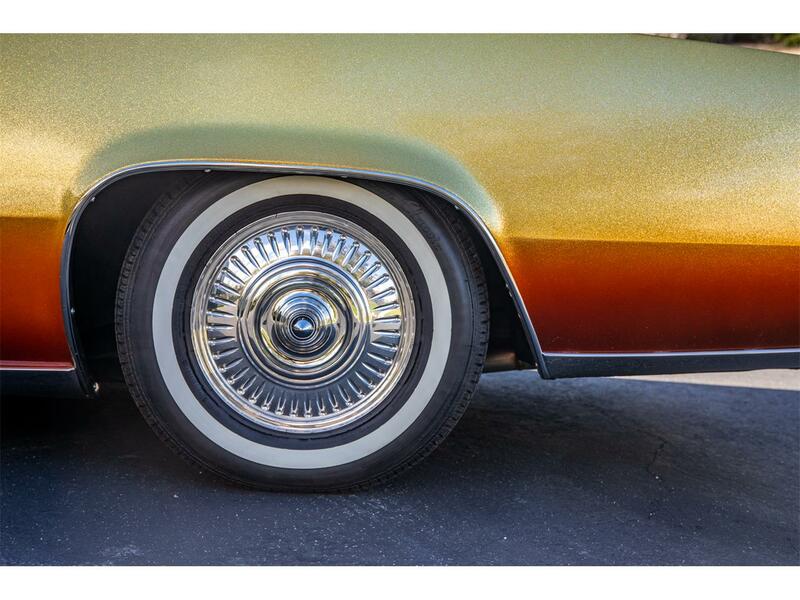 Stock steel wheels wear Wheel Vintiques hubcaps and American Classic whitewall tires. 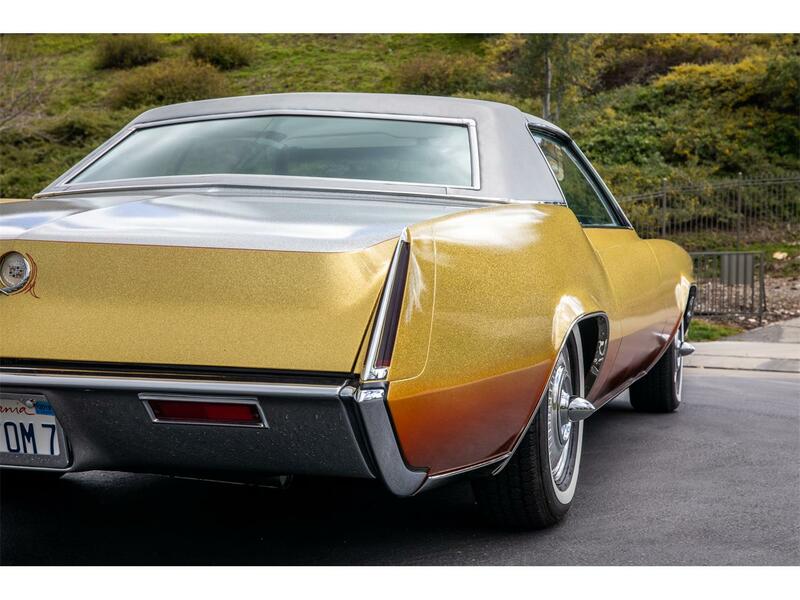 The front end has been lowered while the rear has been kept at stock ride height, although the trunk is weighted down in photos. 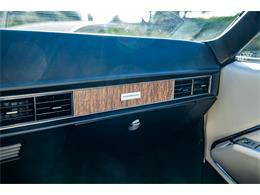 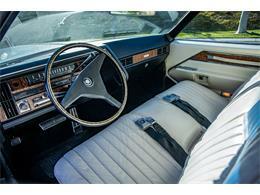 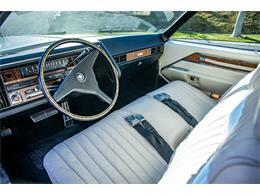 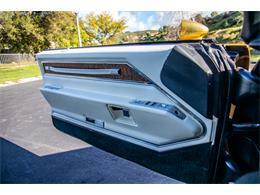 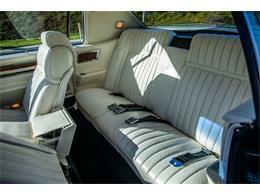 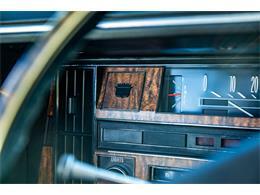 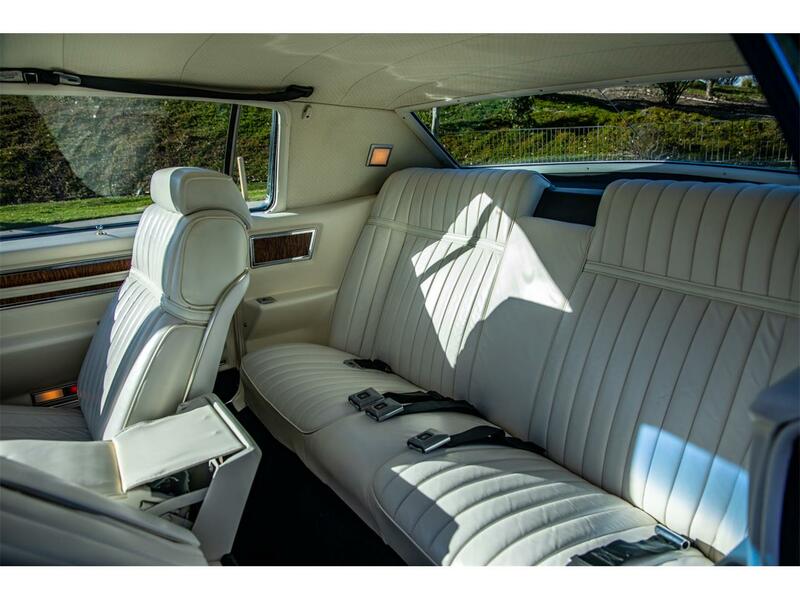 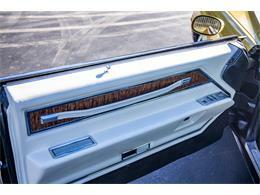 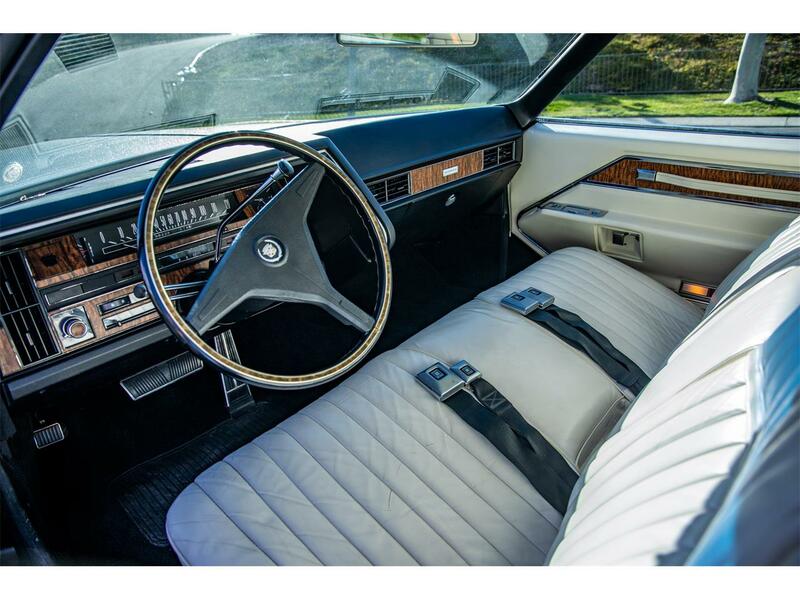 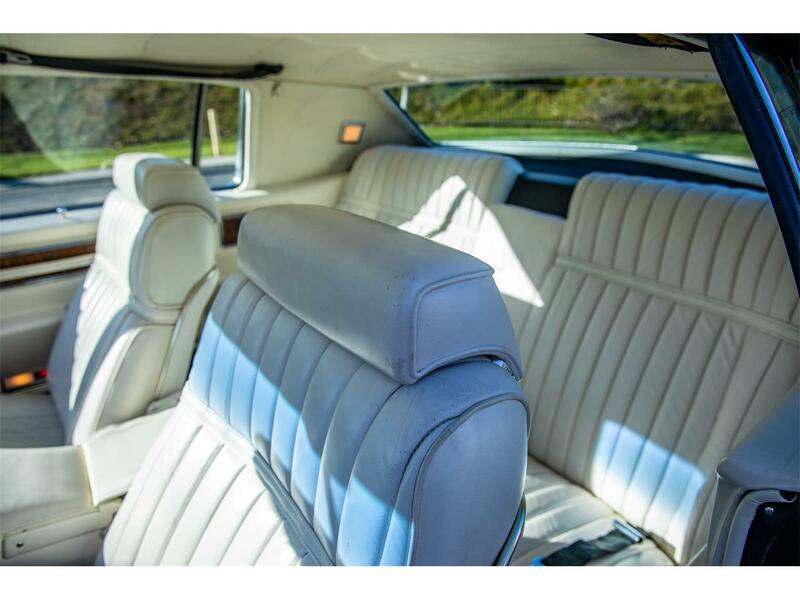 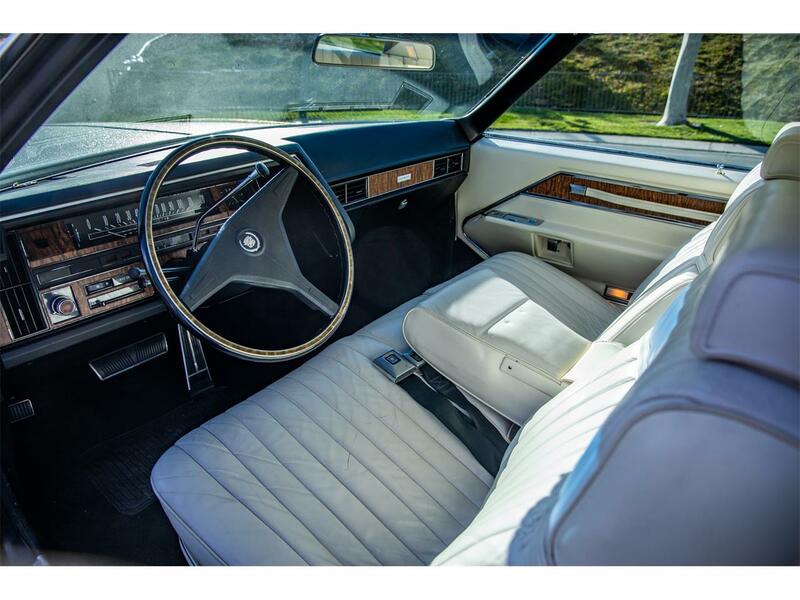 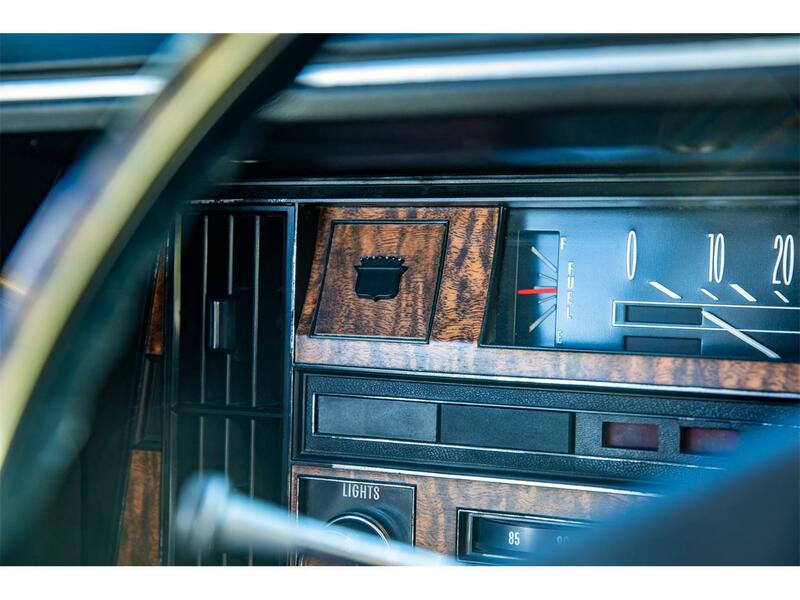 White leather seats are contrasted with black carpeting and wood veneer trim on the dash and door panels. 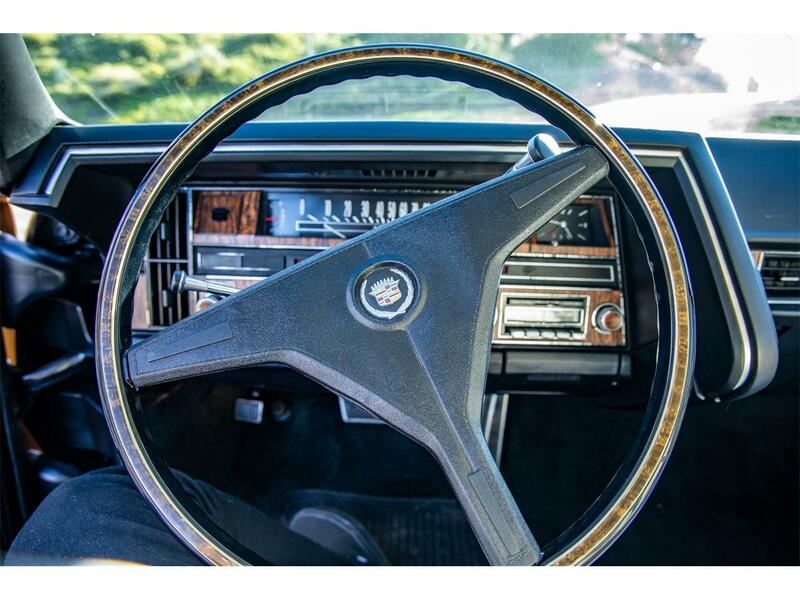 A stock 3-spoke steering wheel fronts a horizontal 120-mph speedometer. 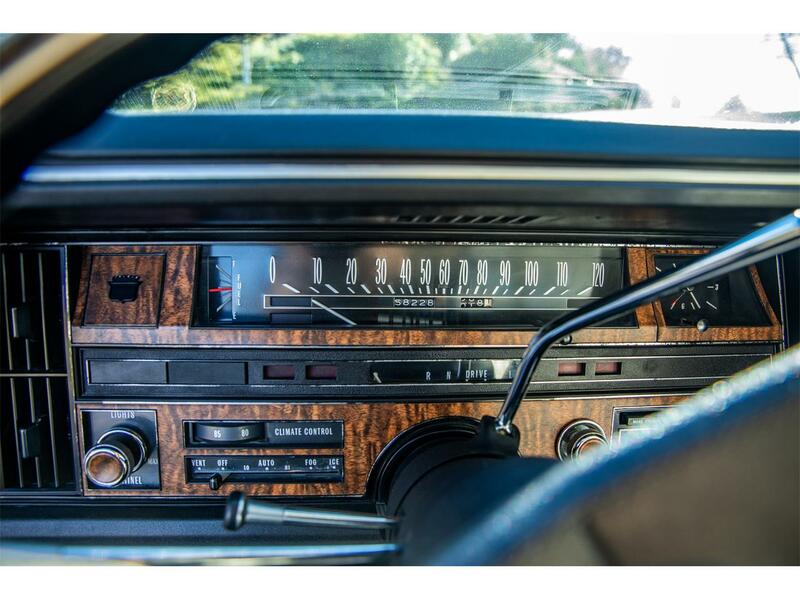 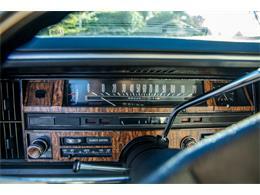 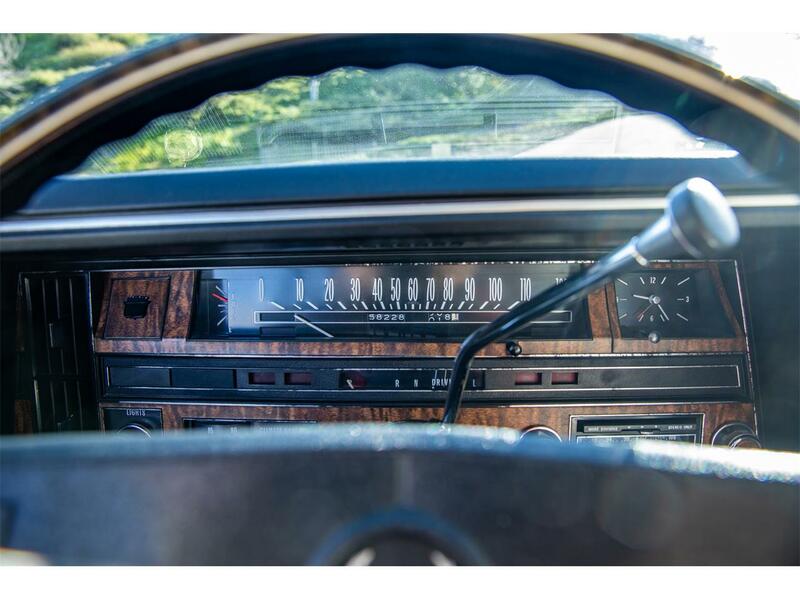 The 5-digit odometer shows 58k miles, approximately 1,000 of which were added under current ownership. 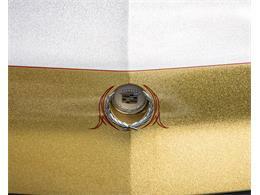 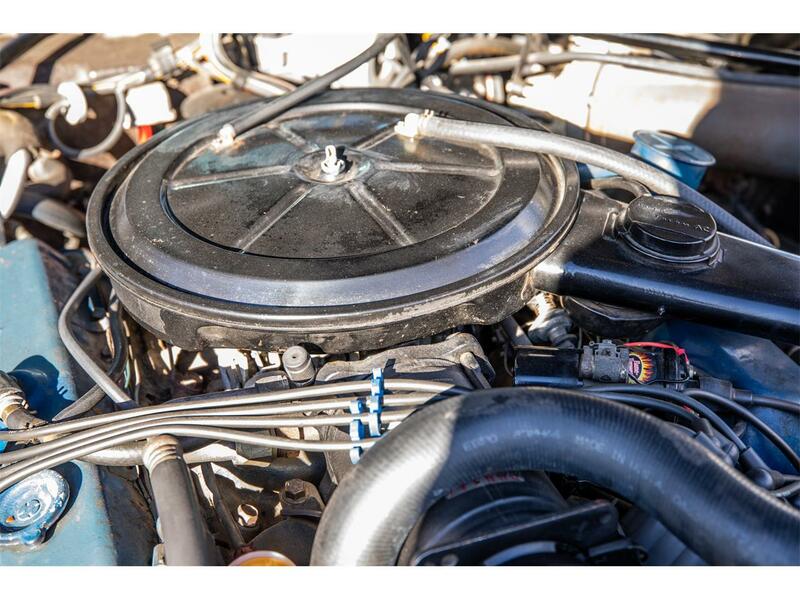 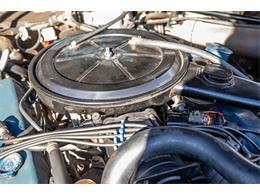 The 500ci V8 sends power to the front wheels through a 3-speed automatic transmission. 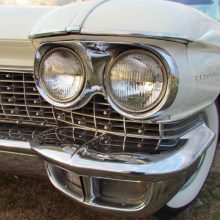 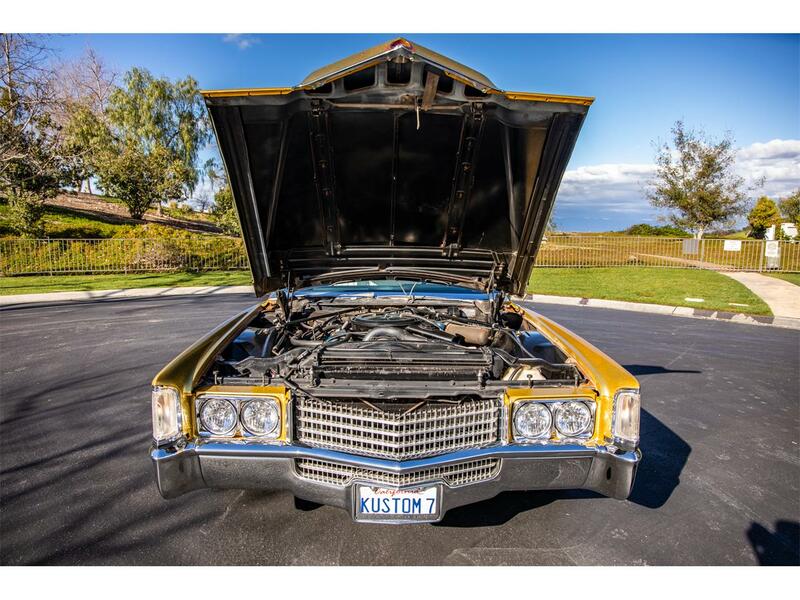 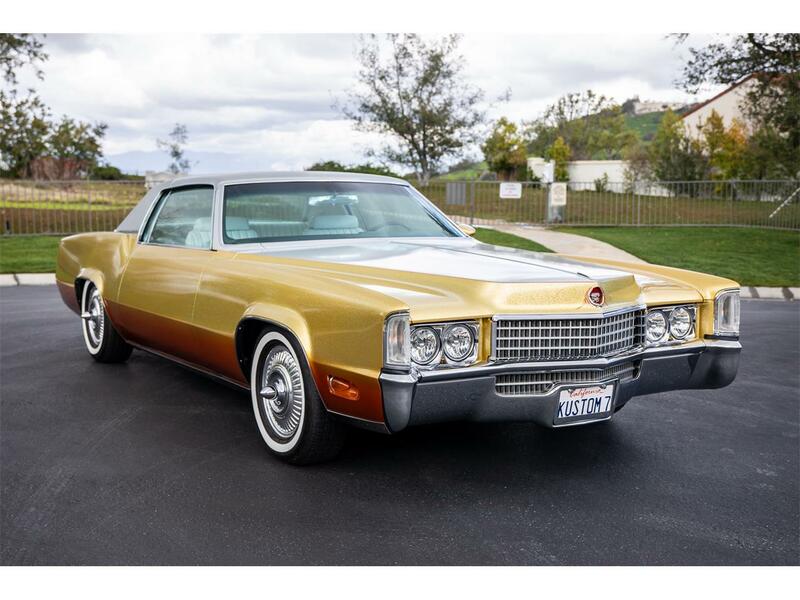 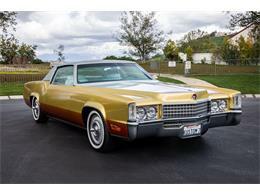 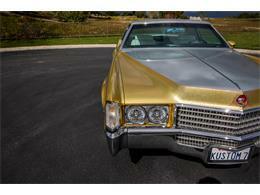 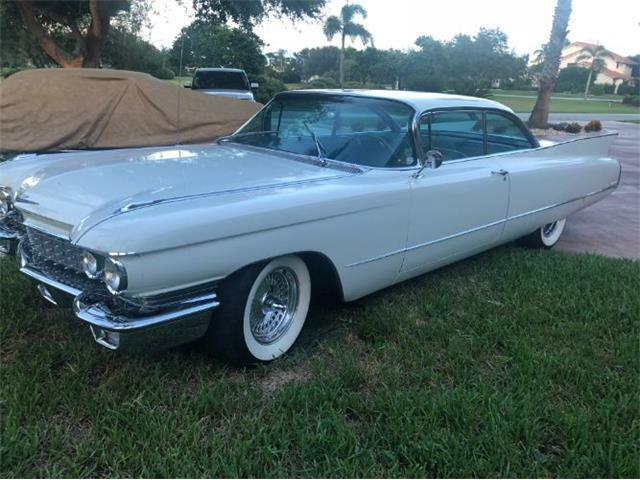 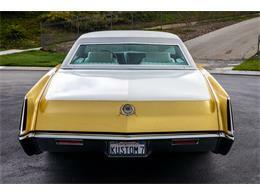 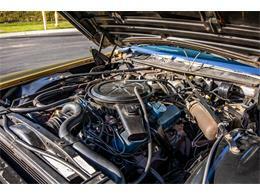 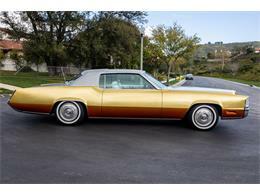 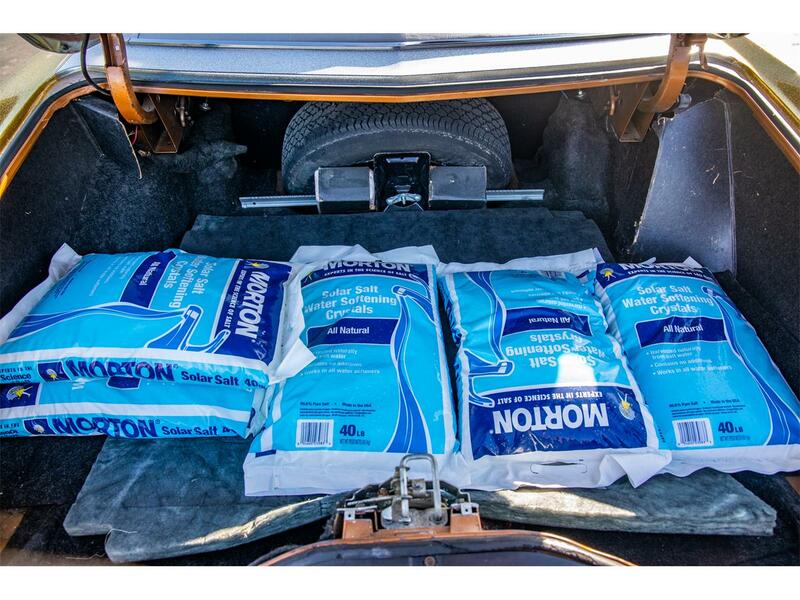 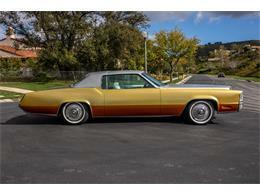 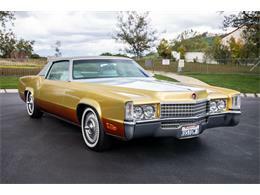 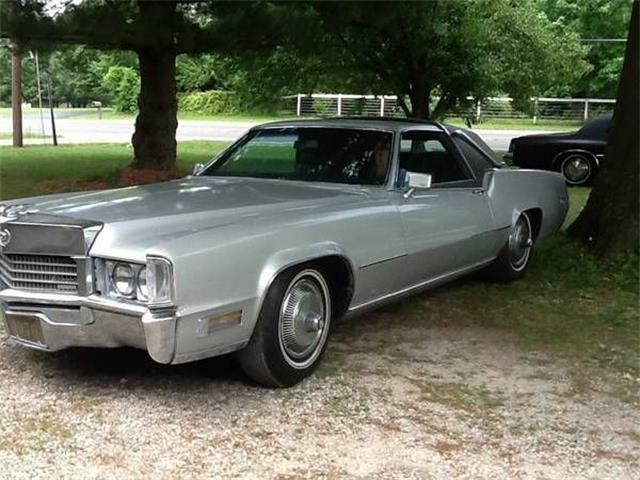 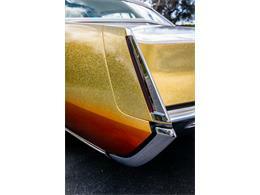 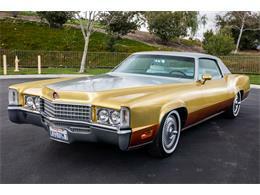 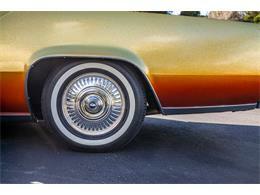 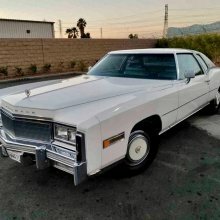 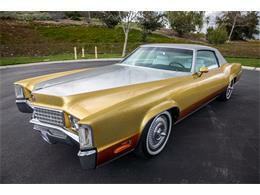 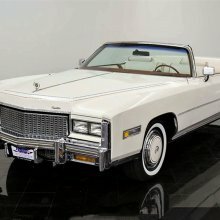 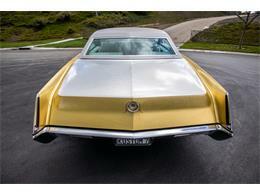 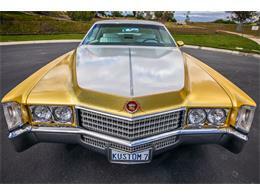 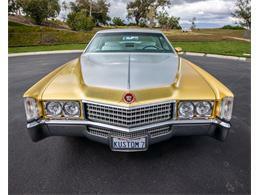 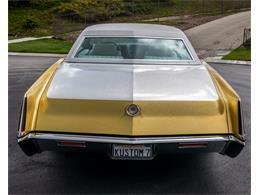 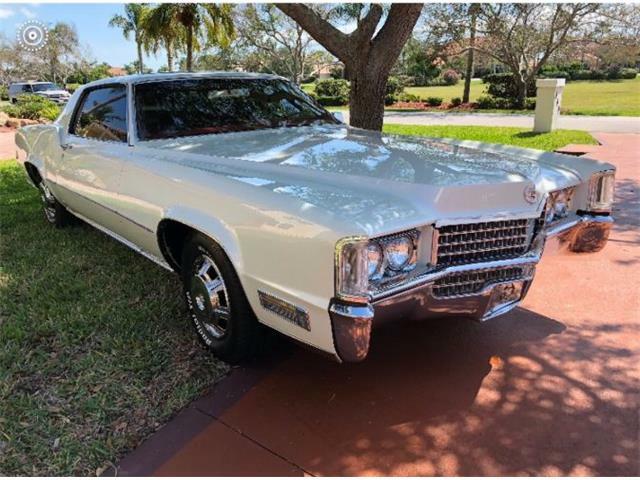 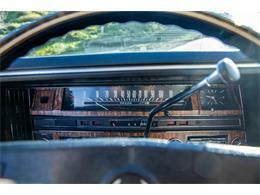 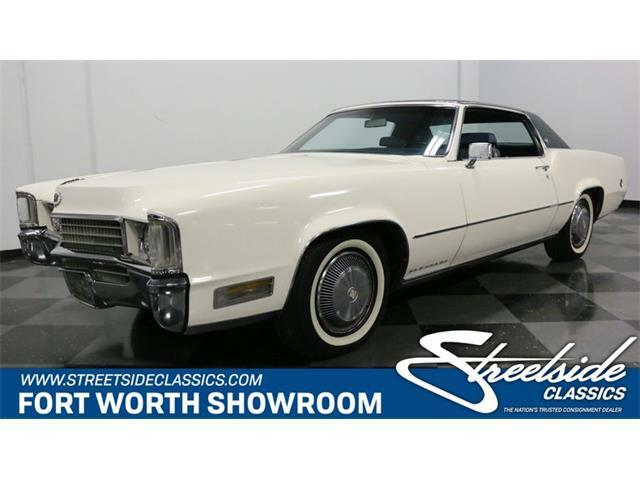 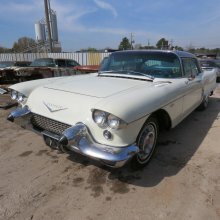 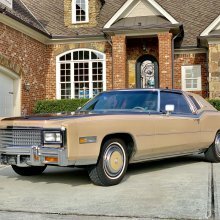 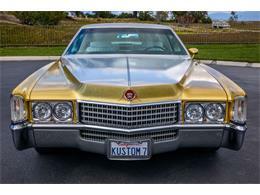 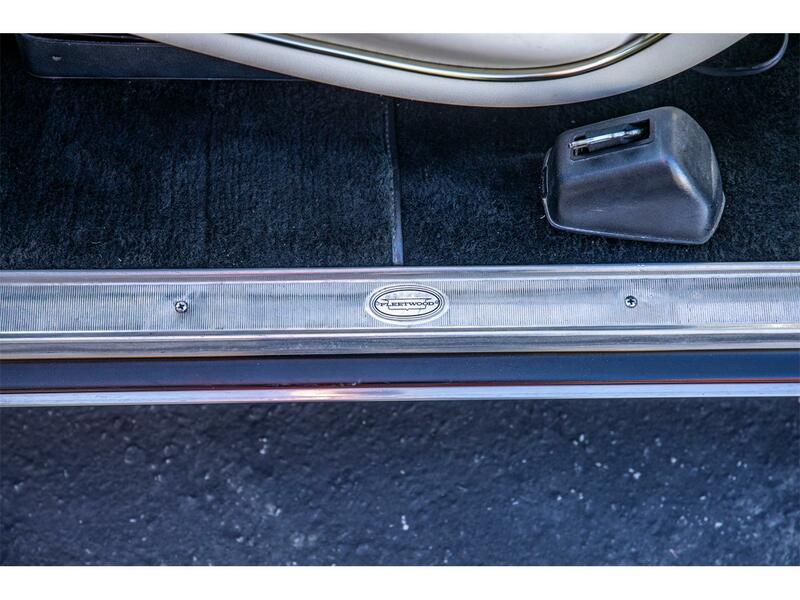 Hi, I'm interested in your 1970 Cadillac Eldorado listed for sale on ClassicCars.com for $35,000.00.